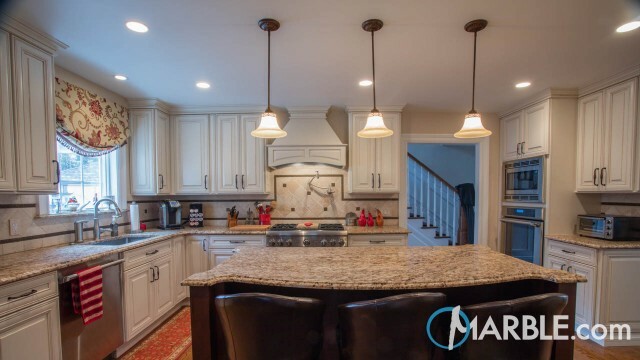 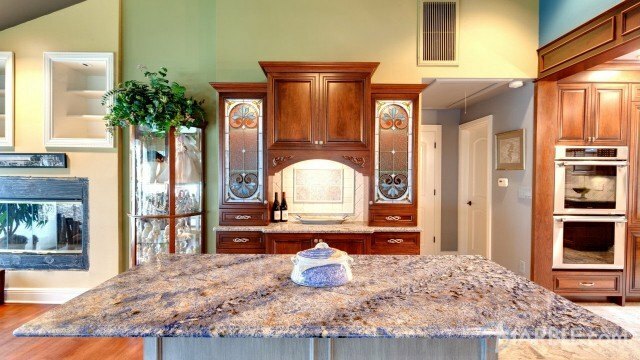 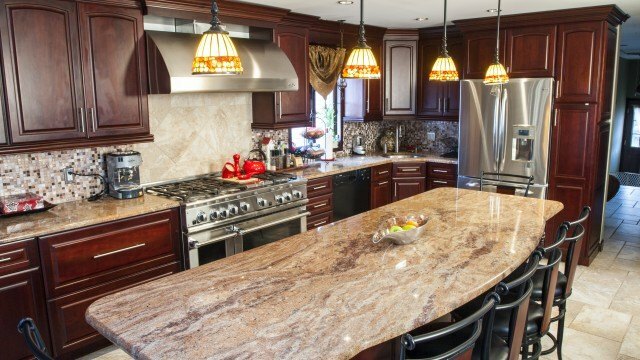 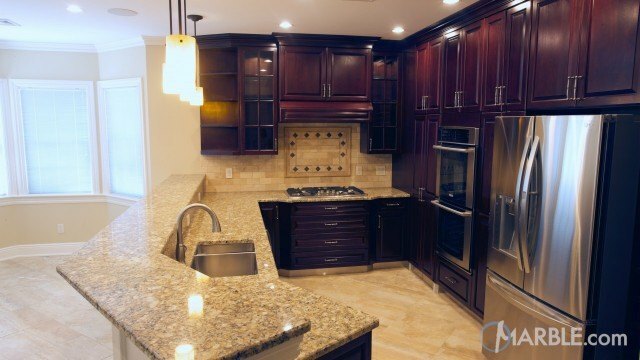 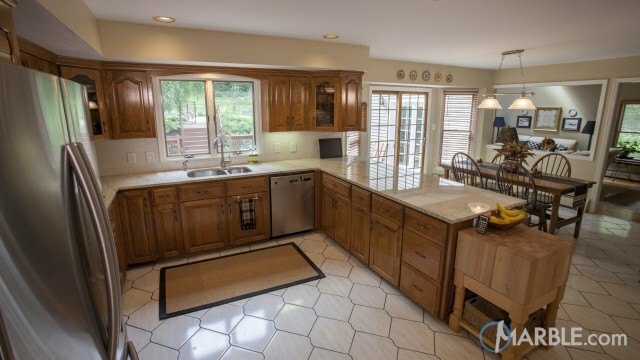 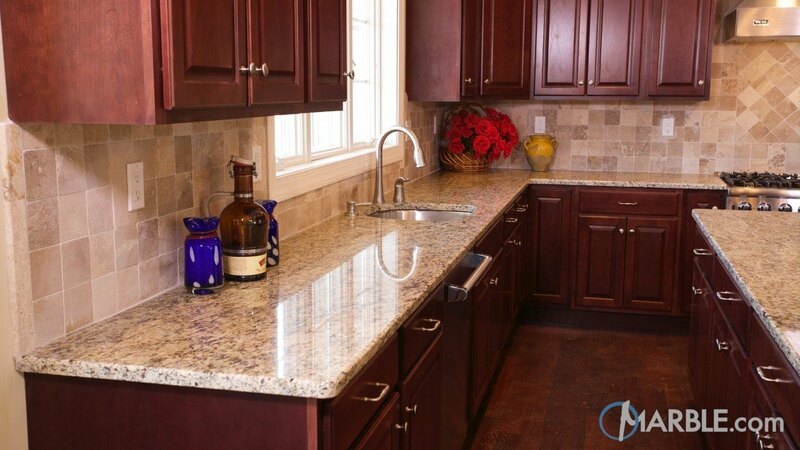 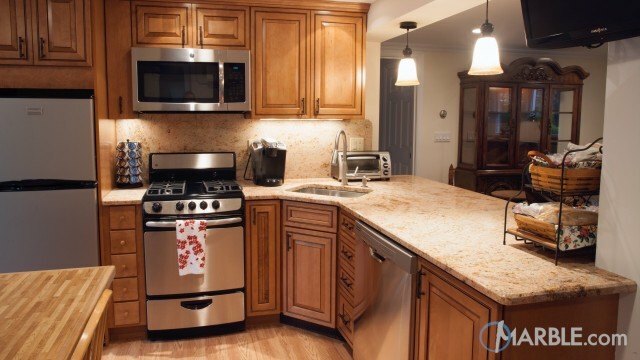 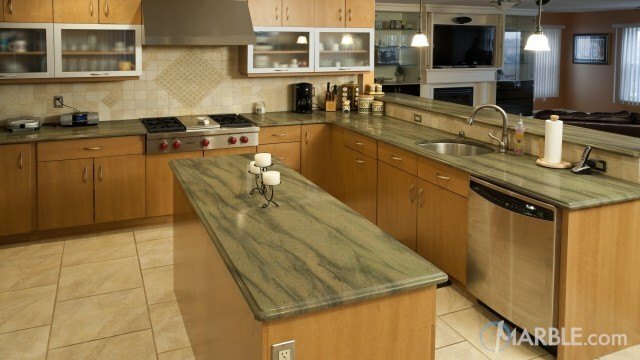 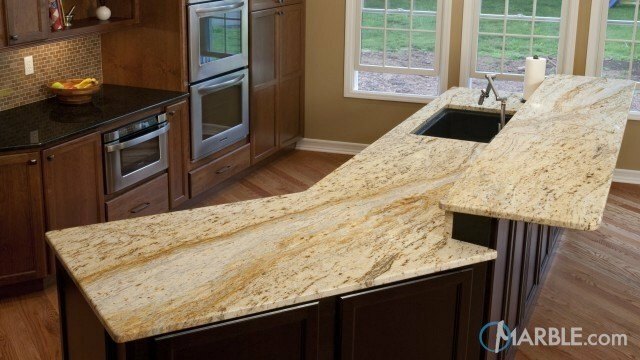 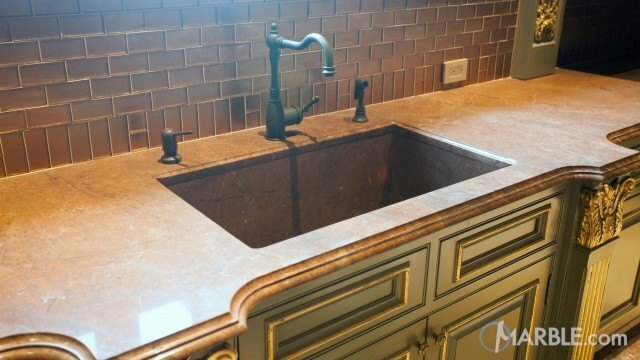 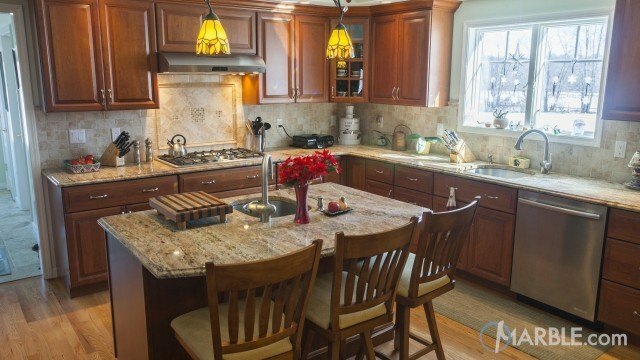 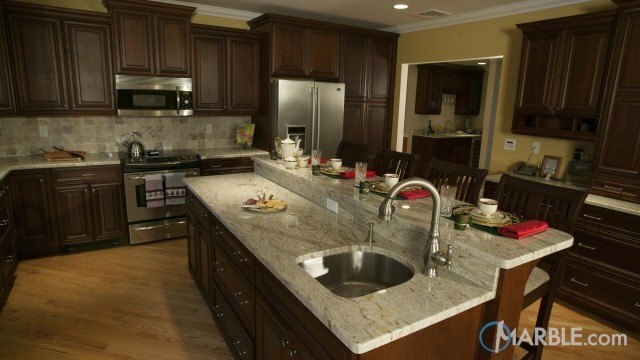 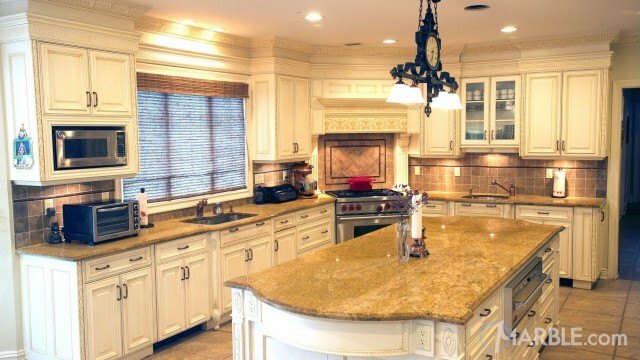 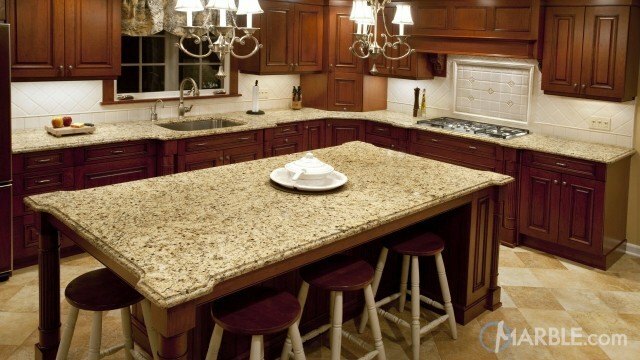 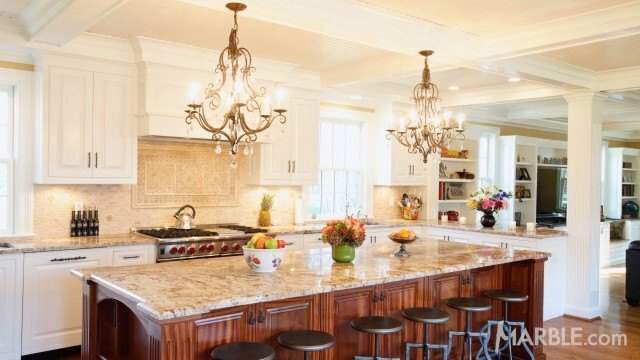 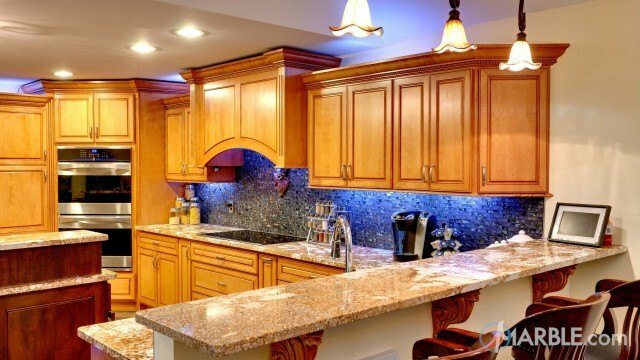 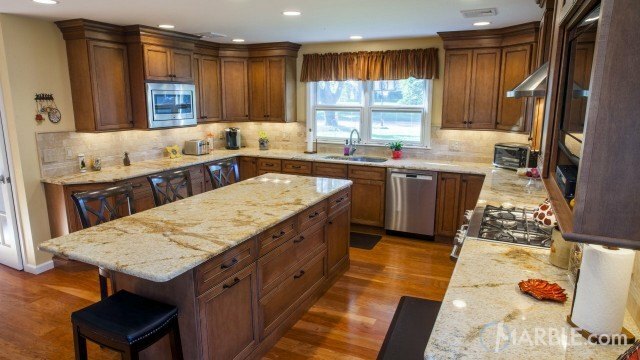 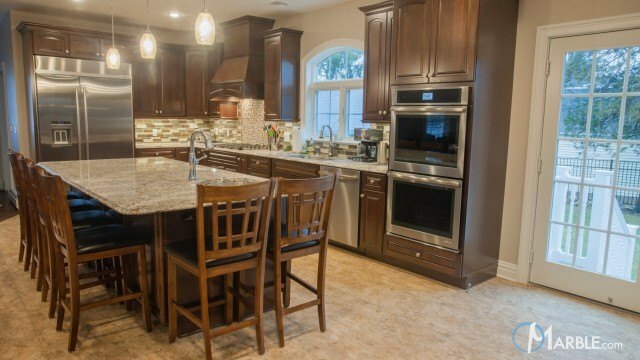 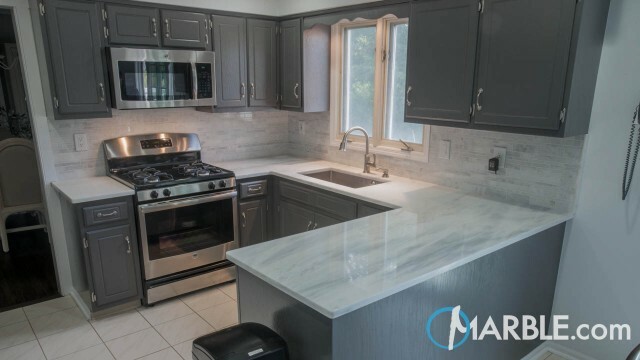 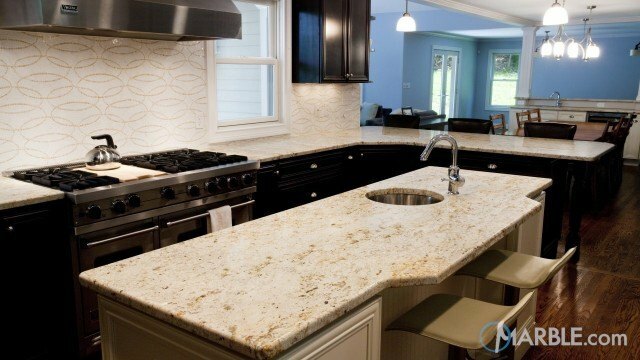 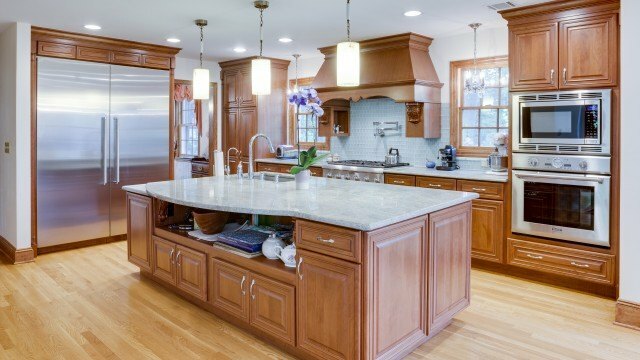 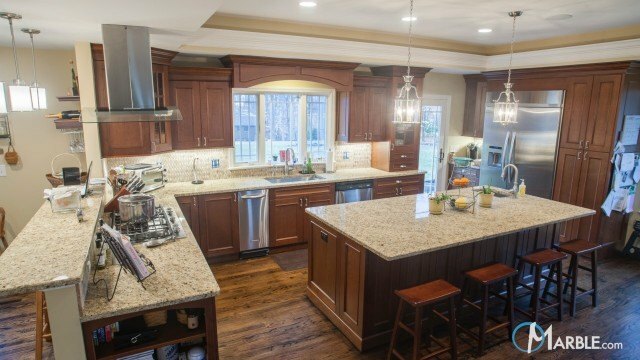 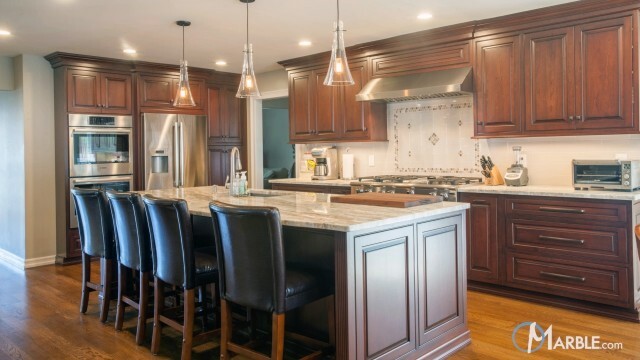 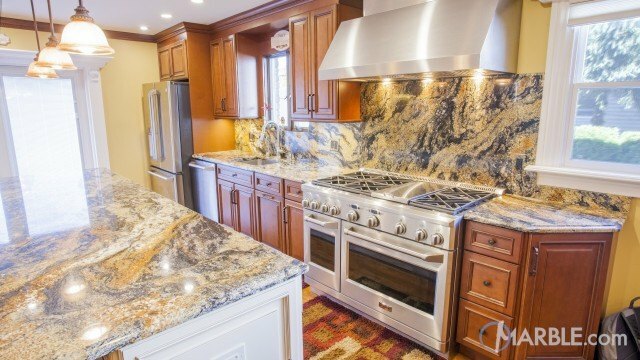 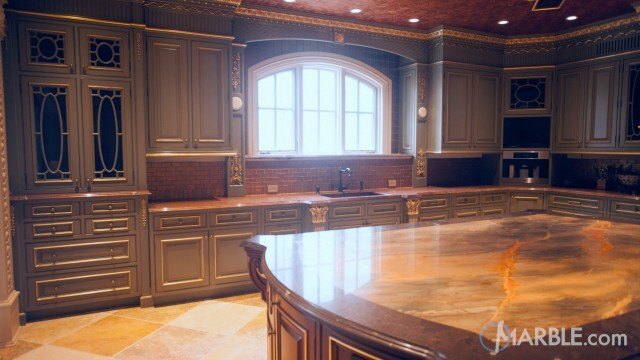 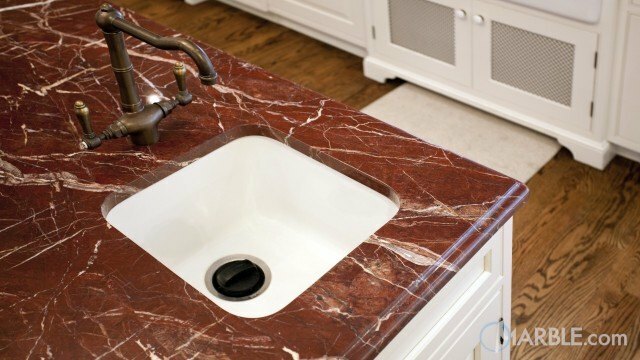 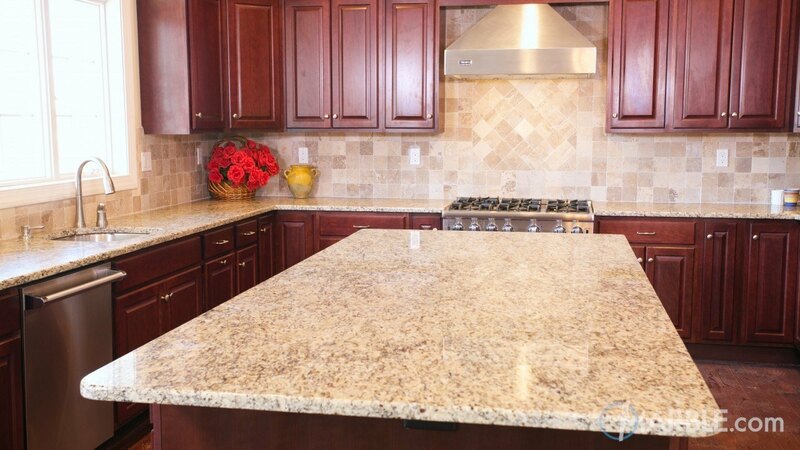 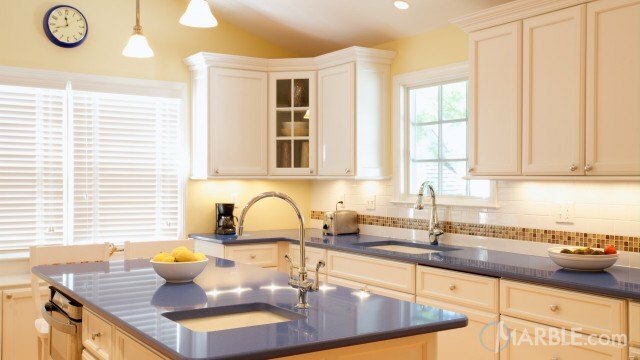 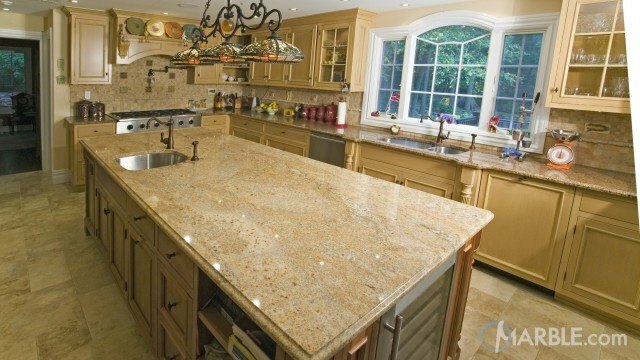 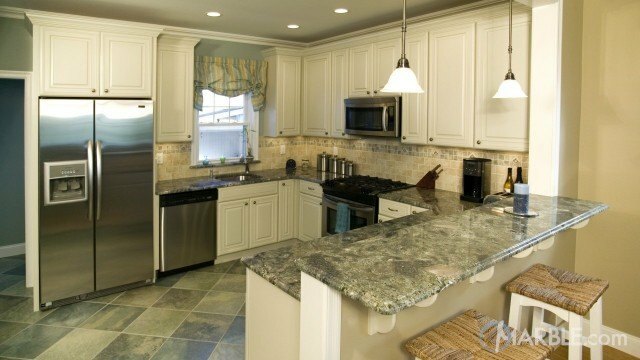 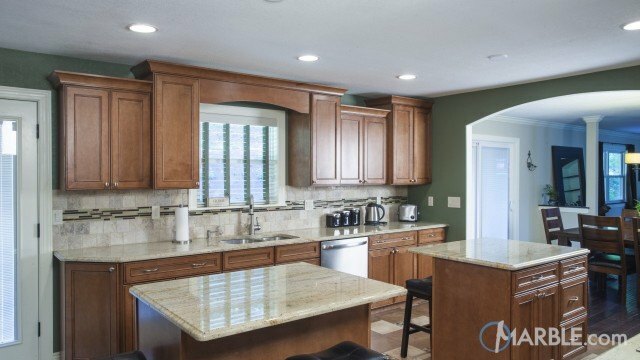 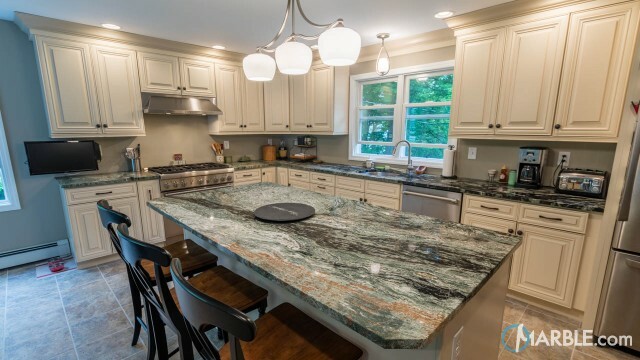 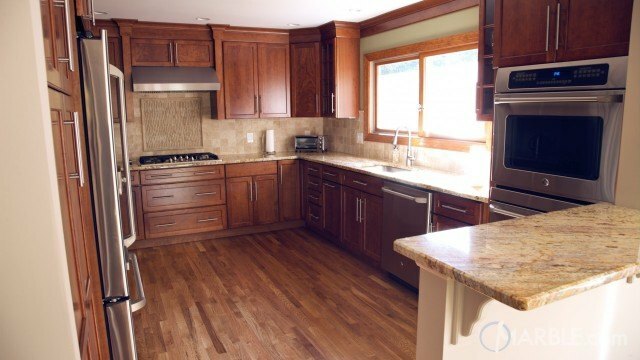 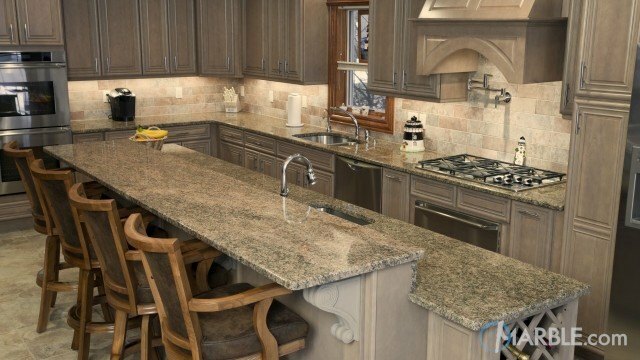 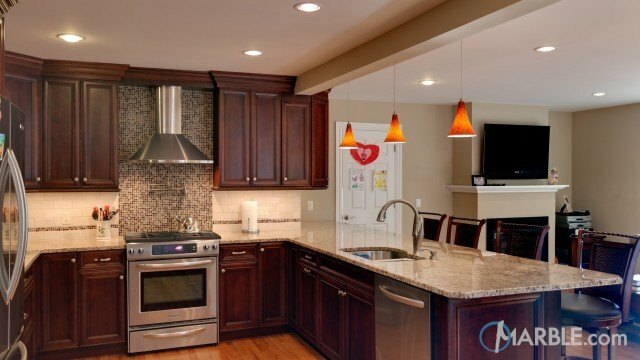 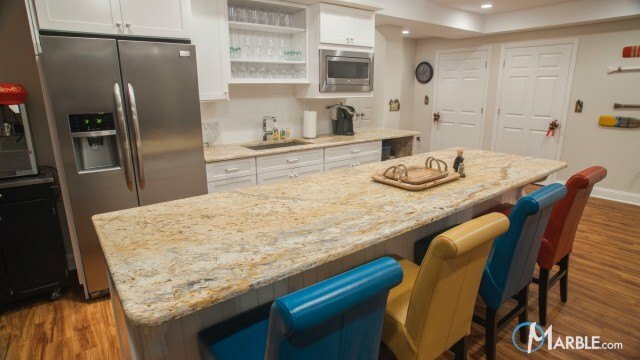 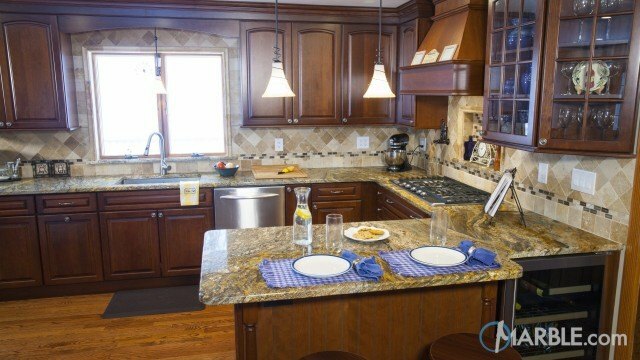 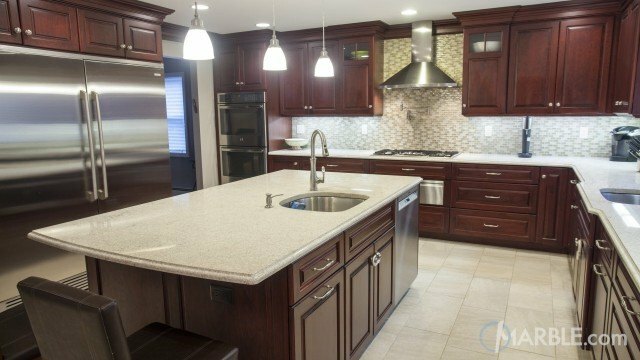 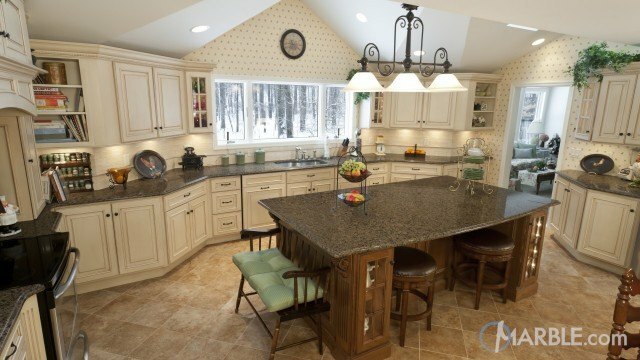 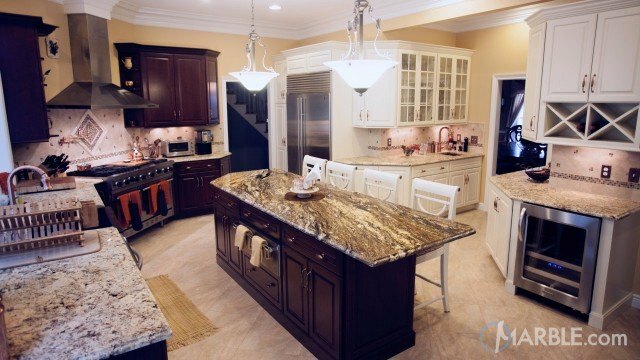 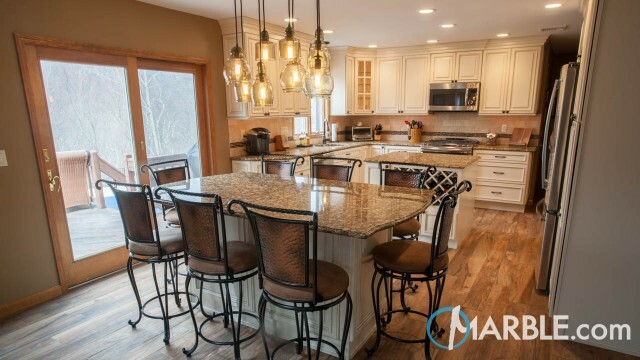 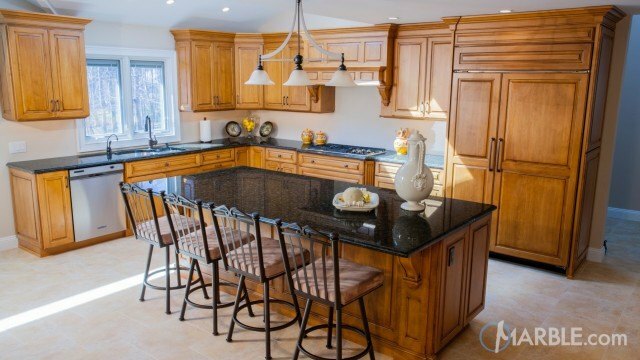 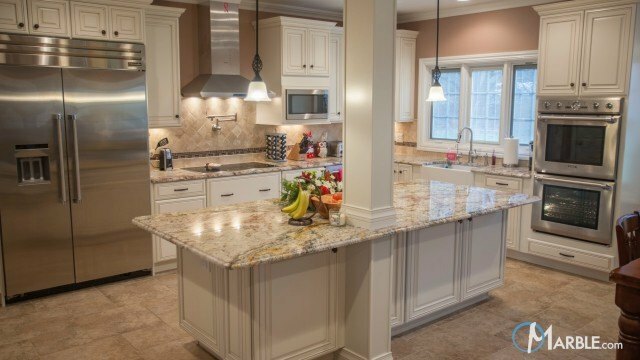 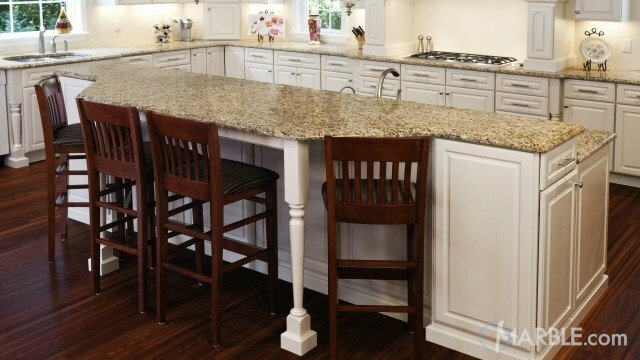 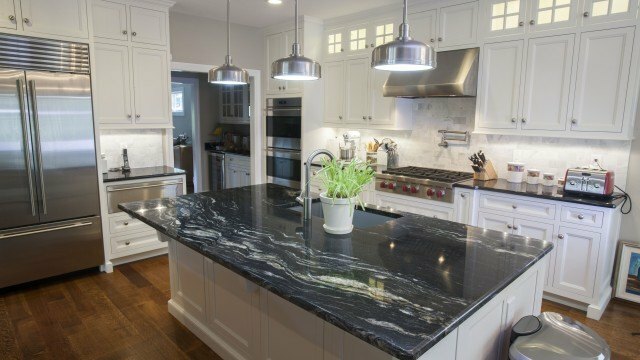 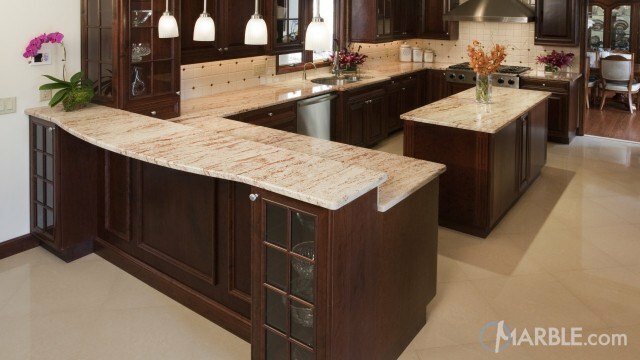 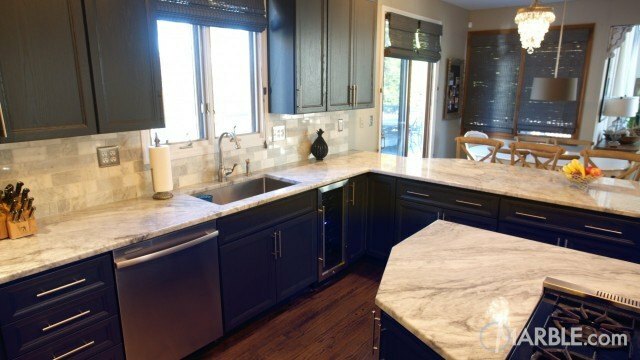 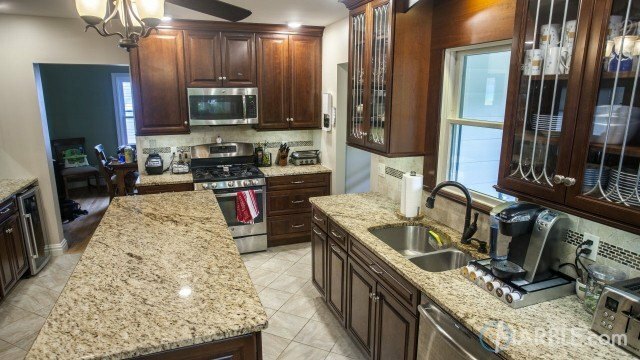 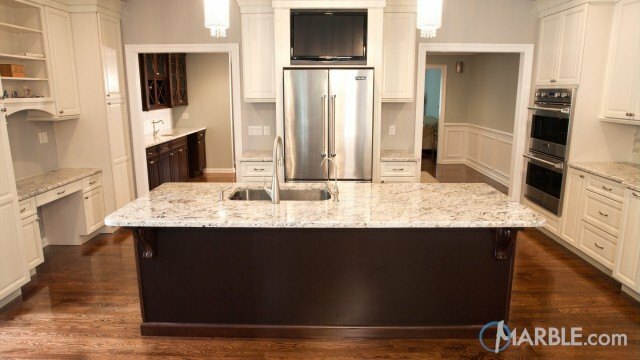 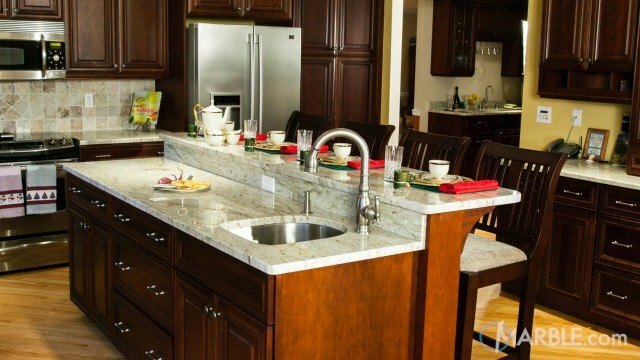 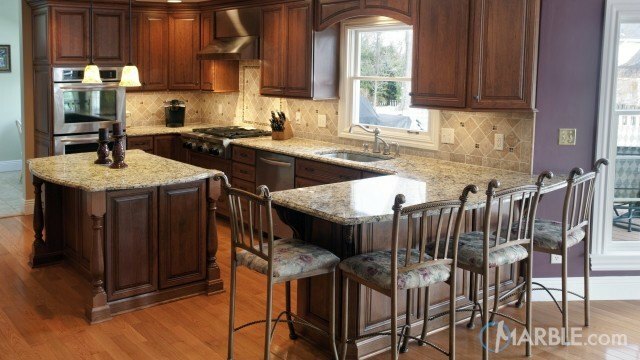 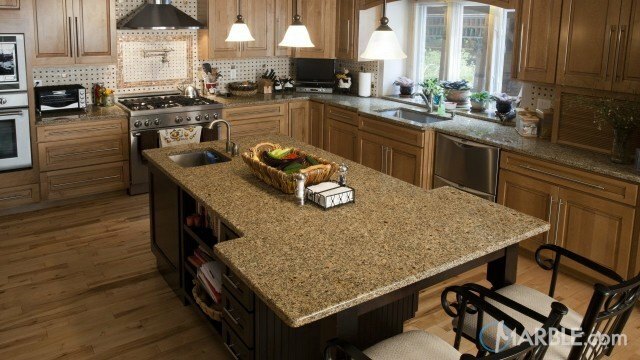 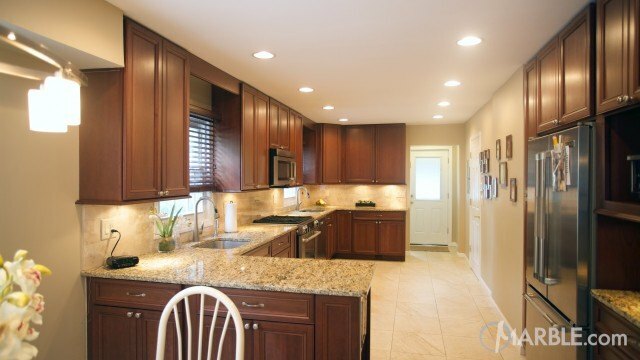 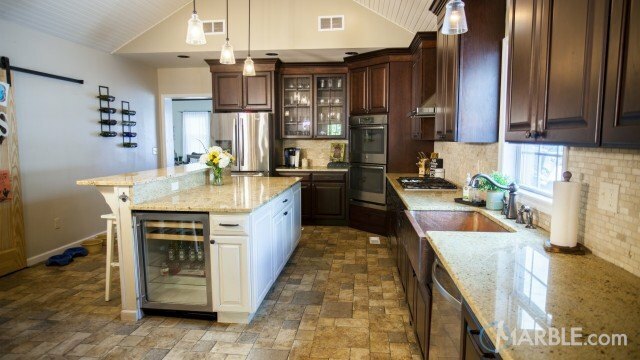 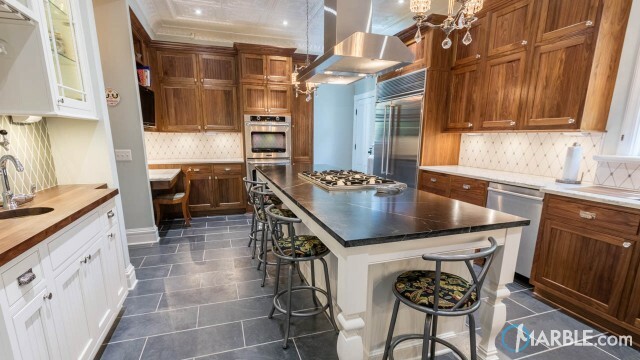 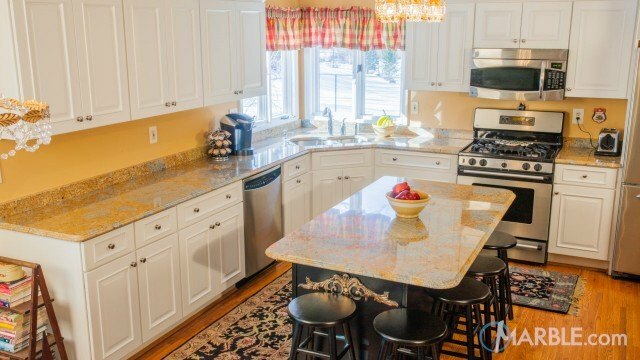 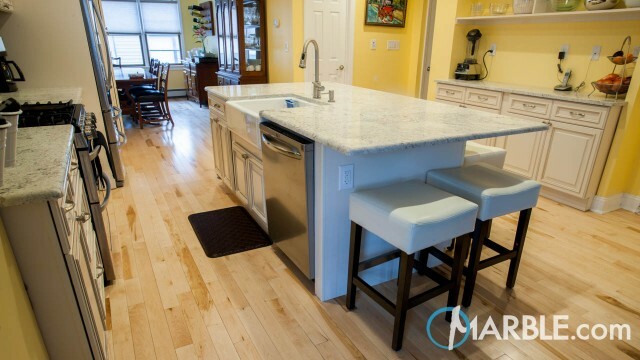 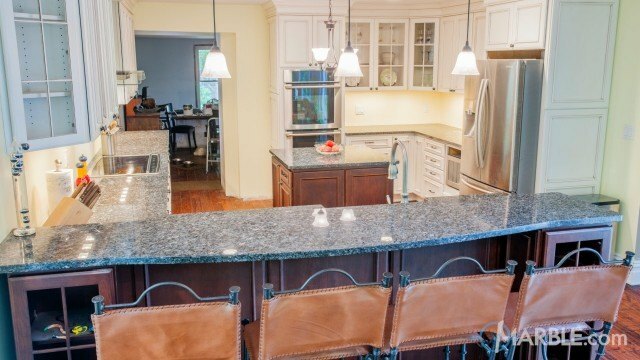 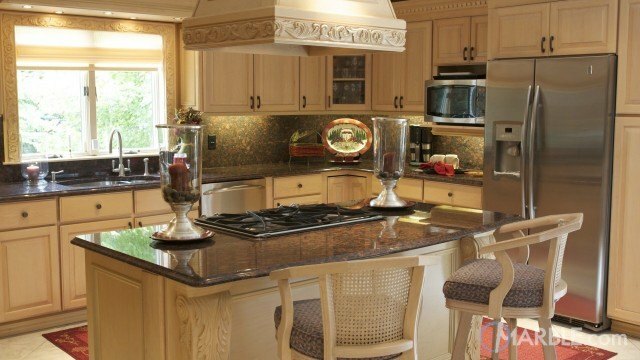 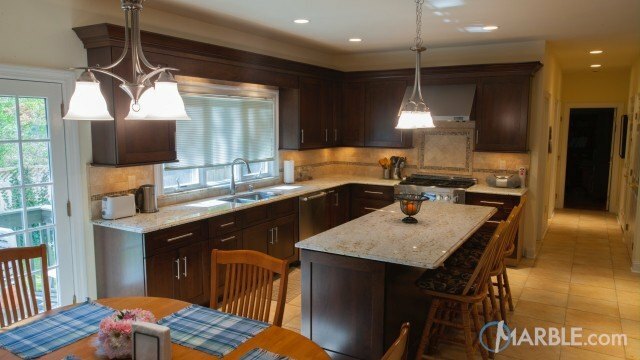 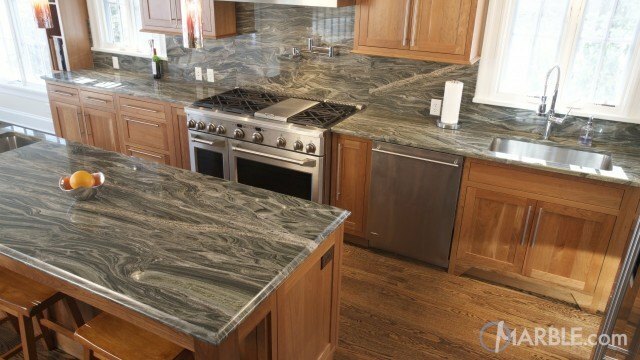 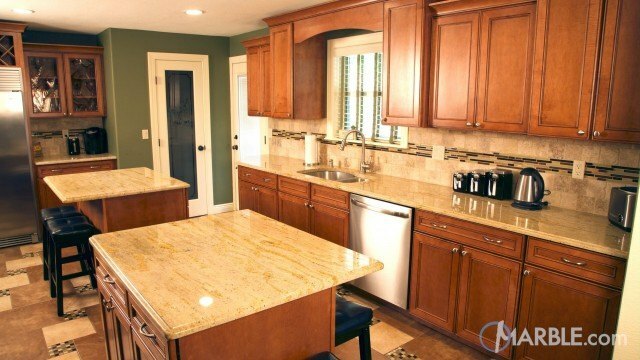 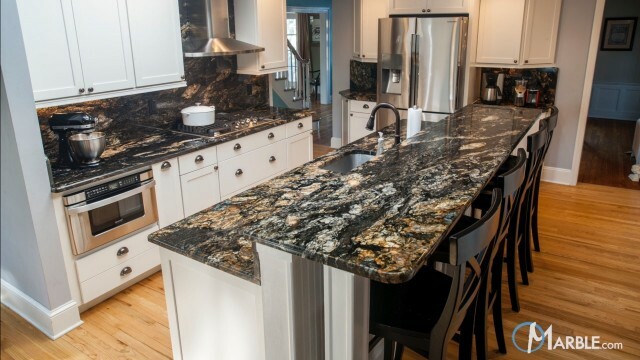 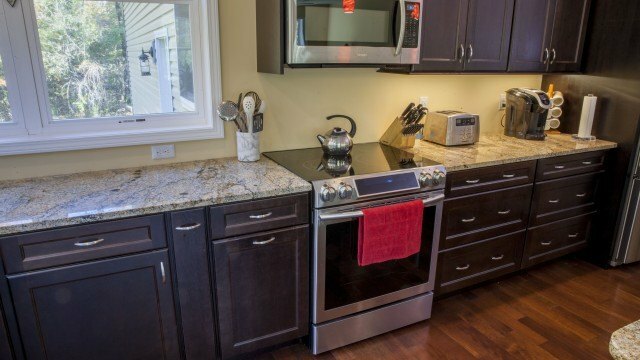 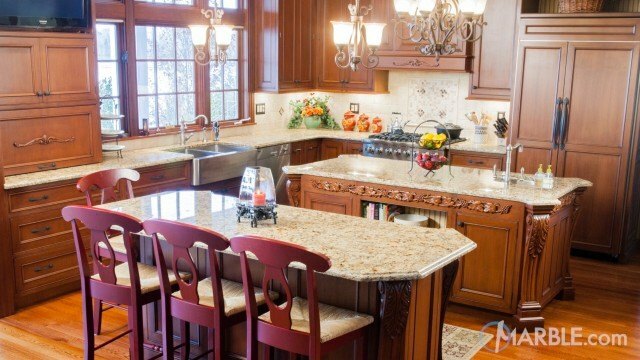 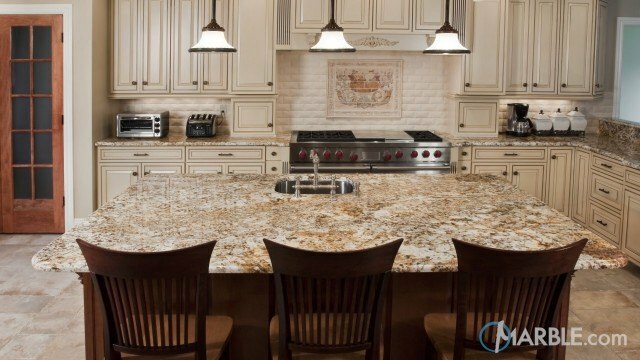 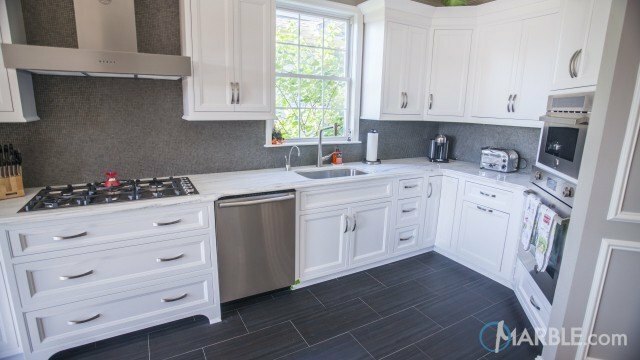 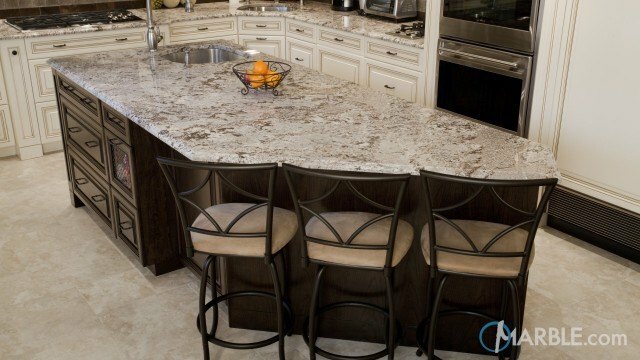 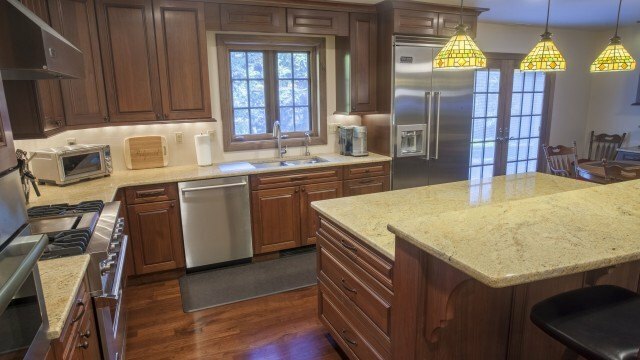 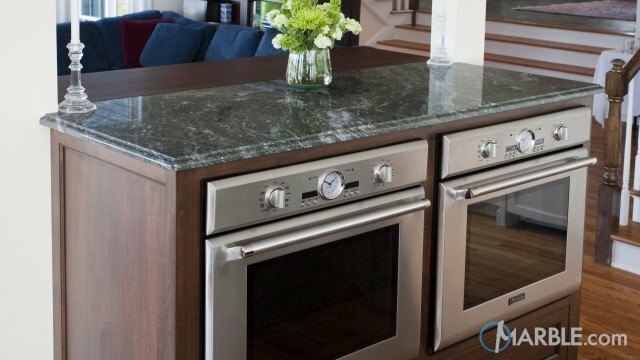 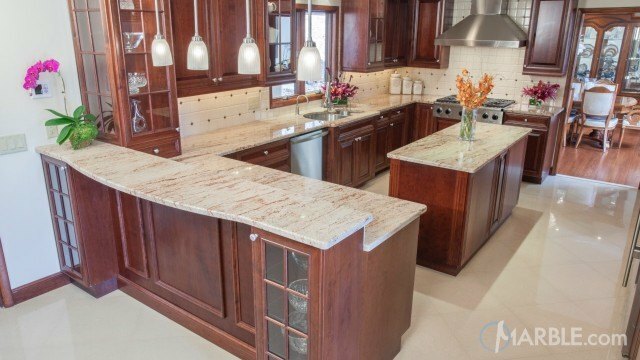 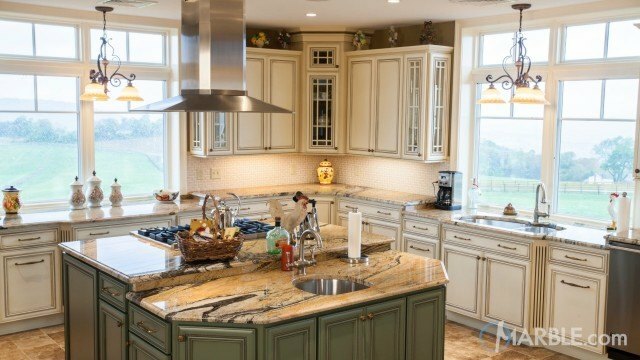 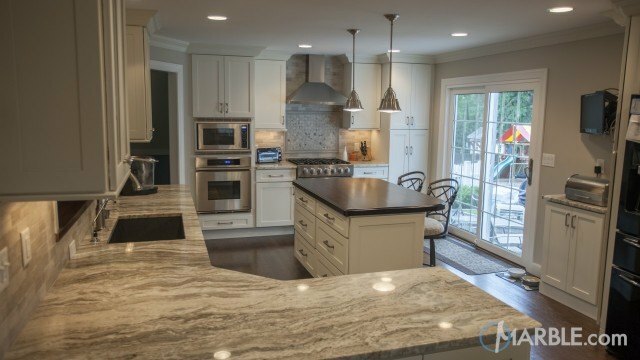 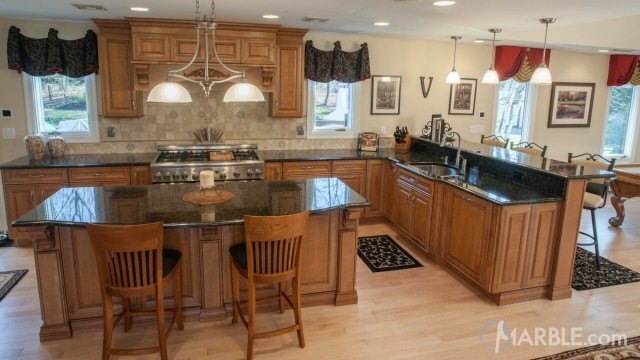 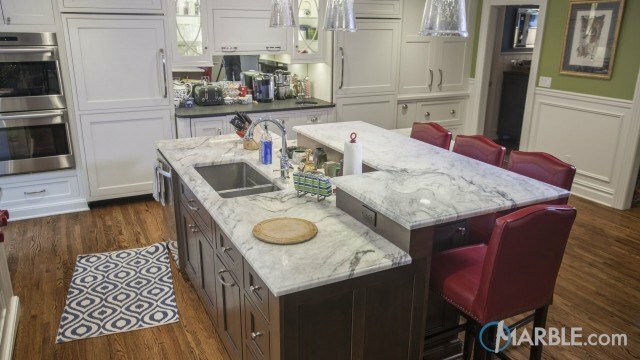 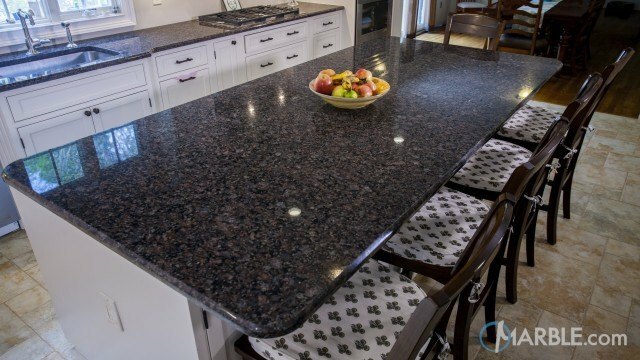 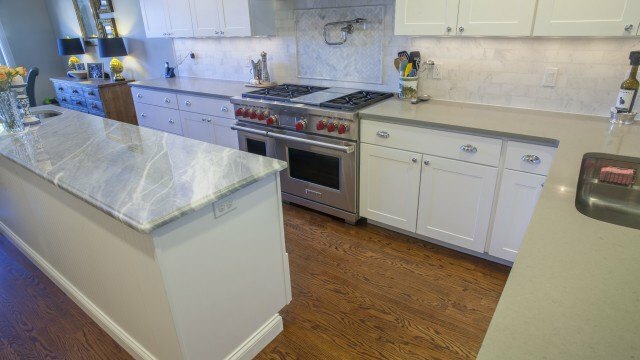 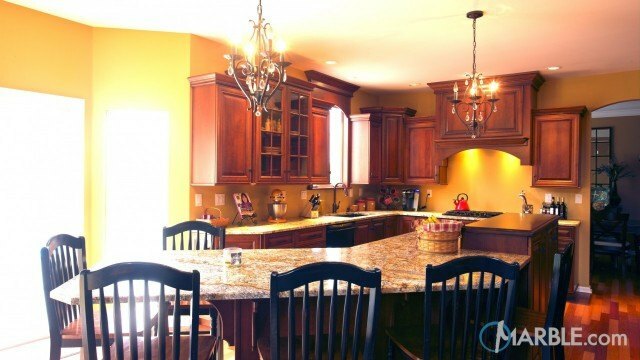 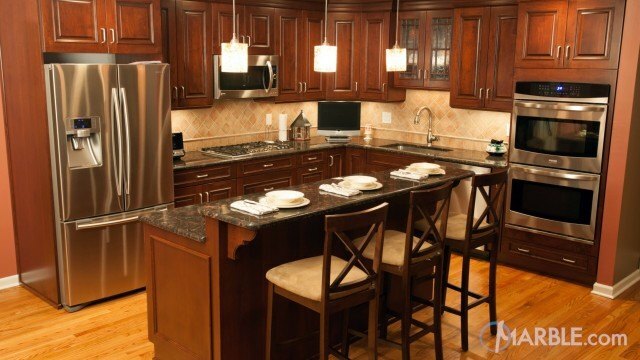 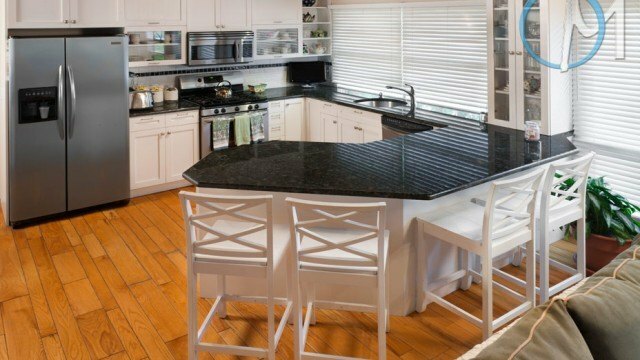 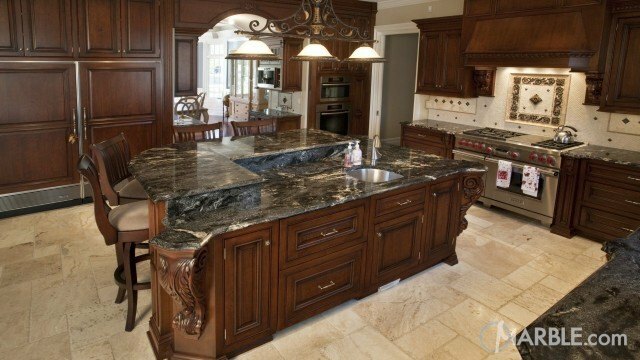 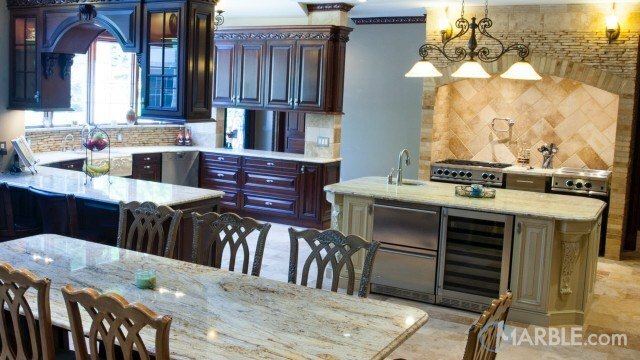 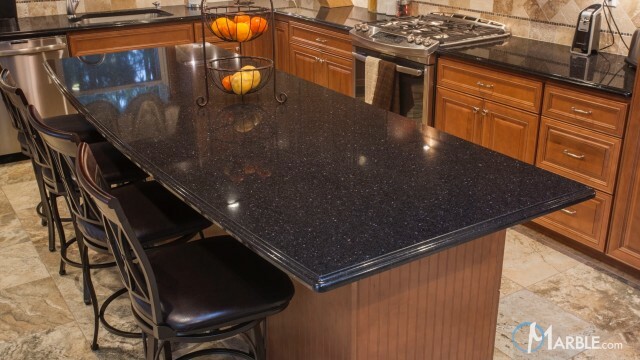 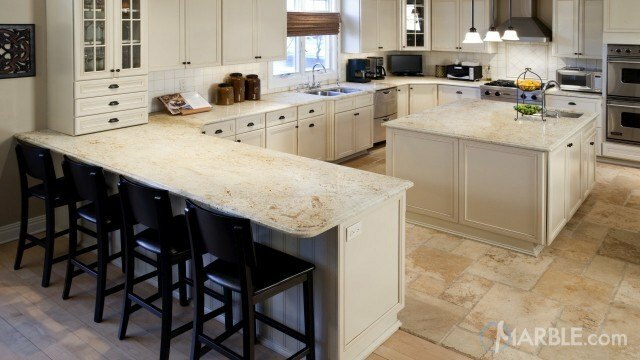 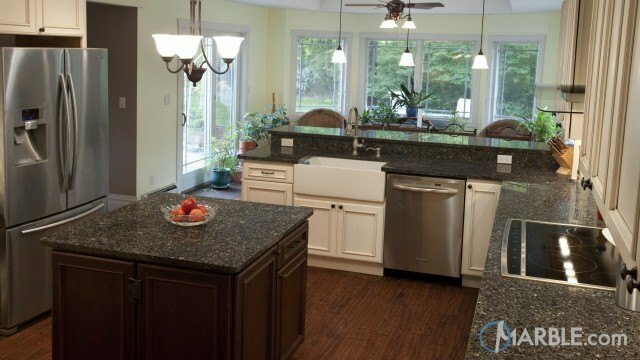 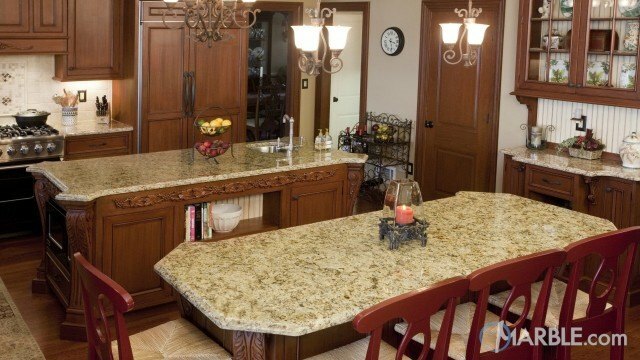 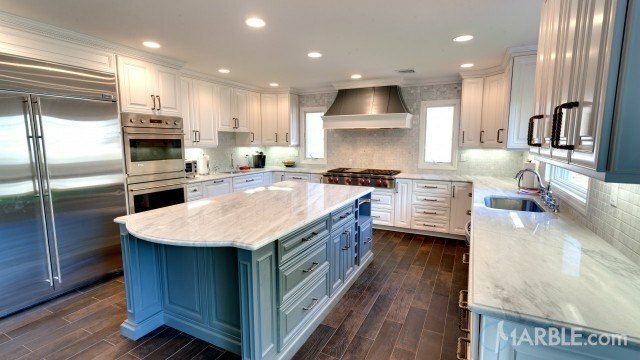 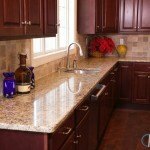 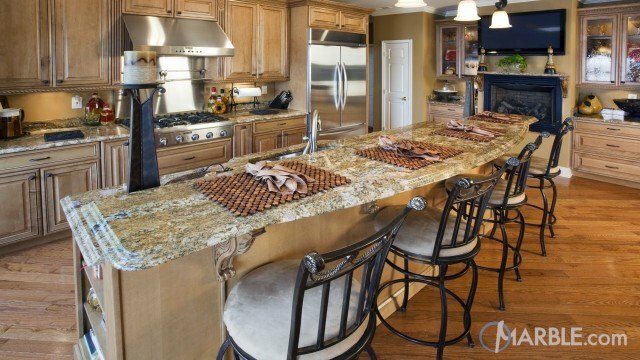 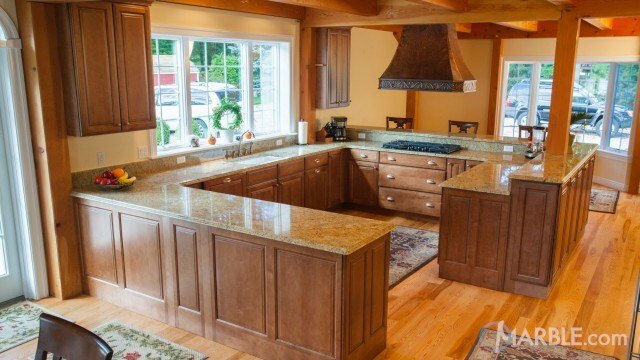 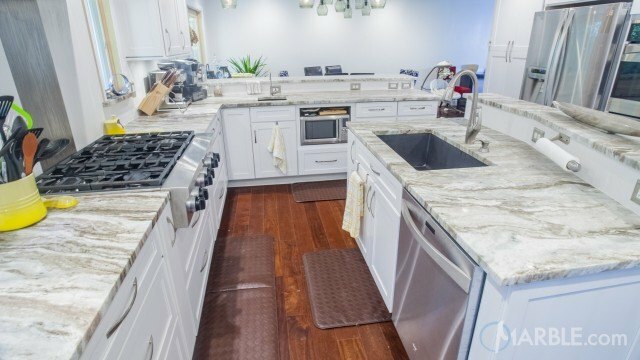 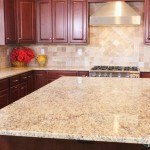 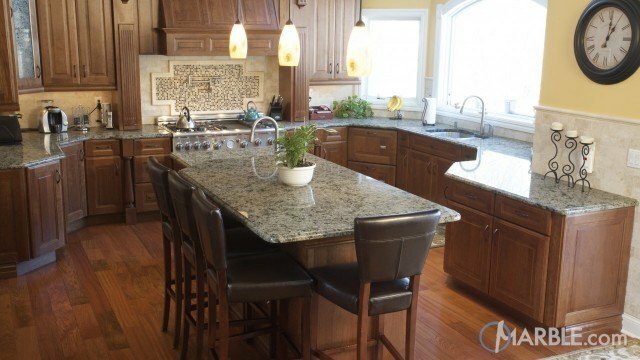 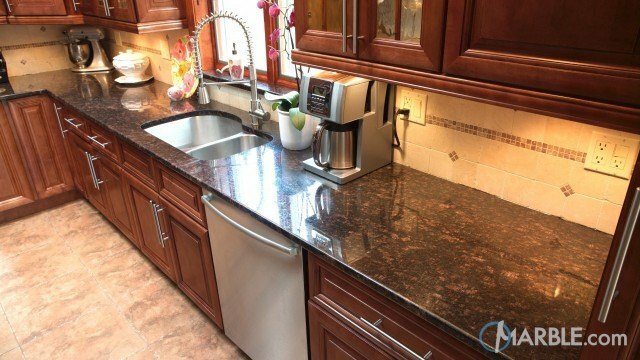 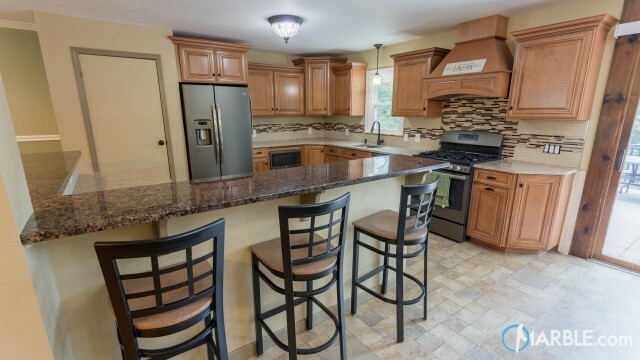 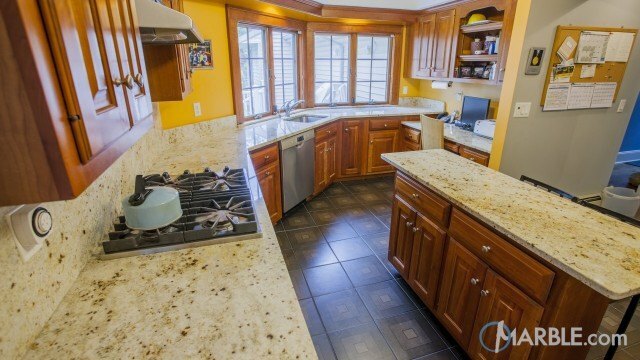 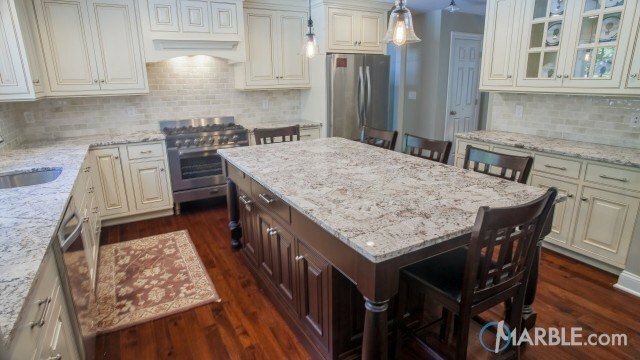 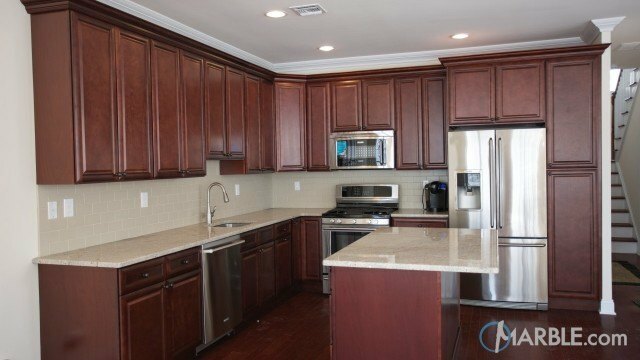 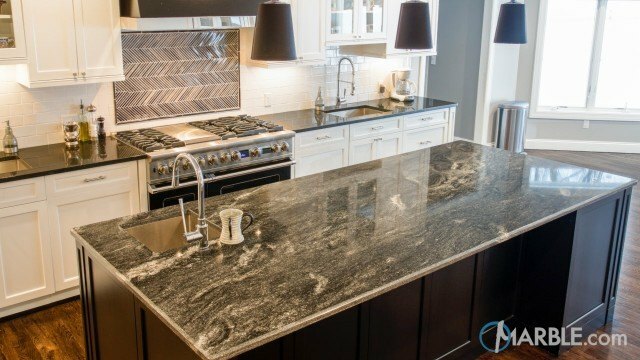 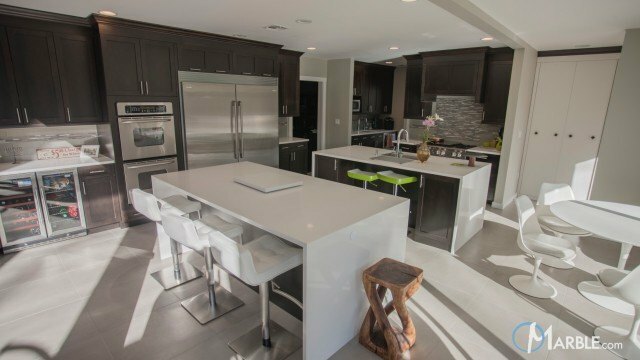 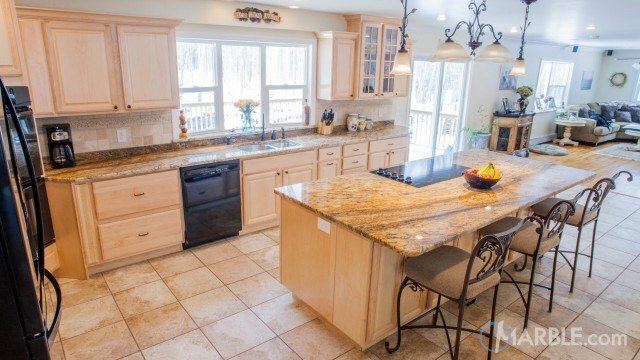 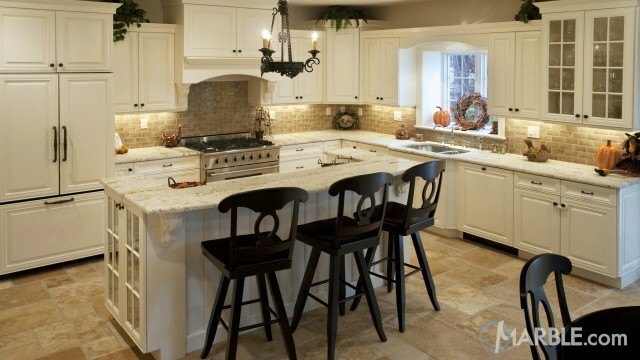 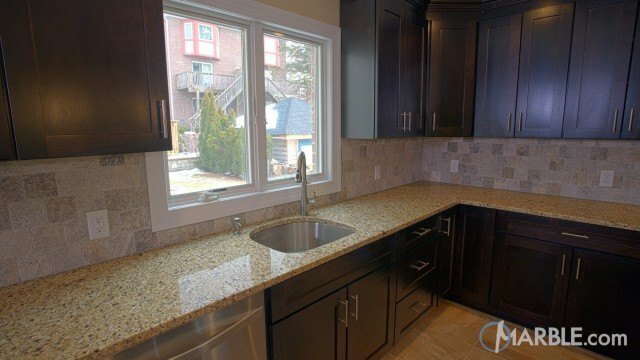 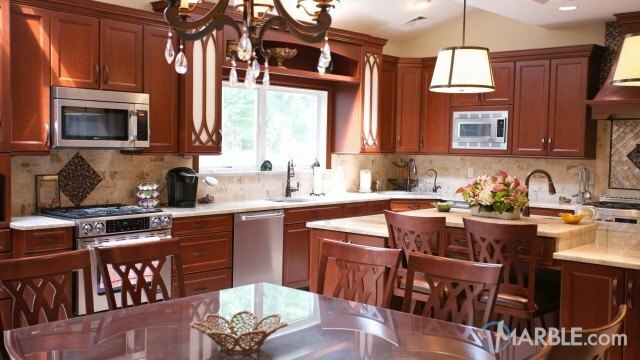 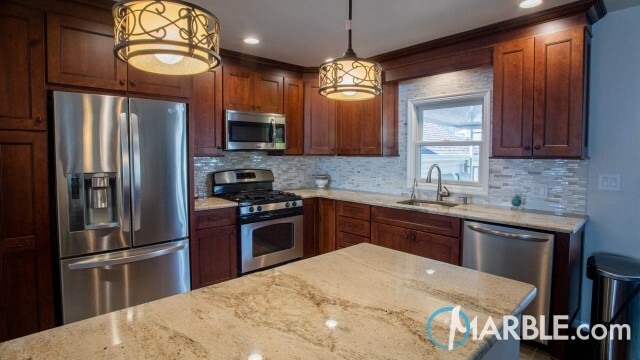 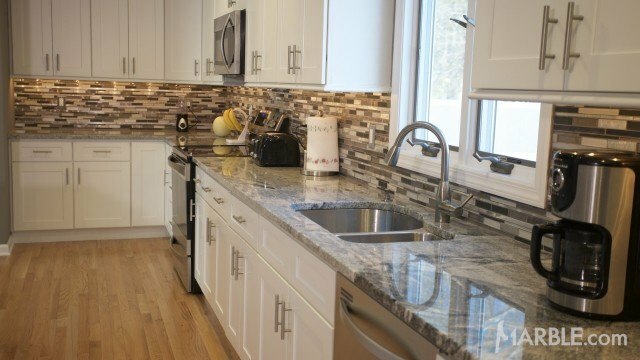 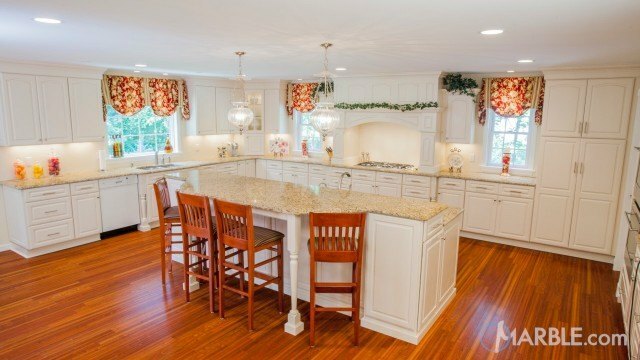 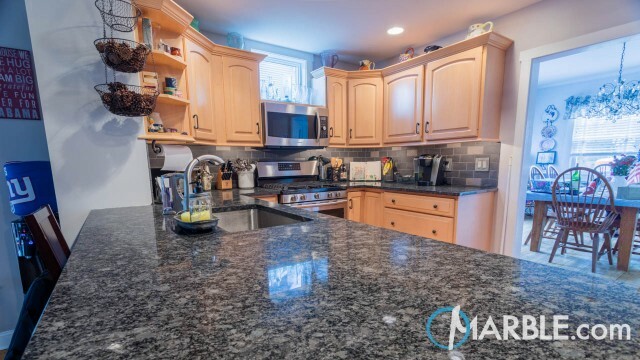 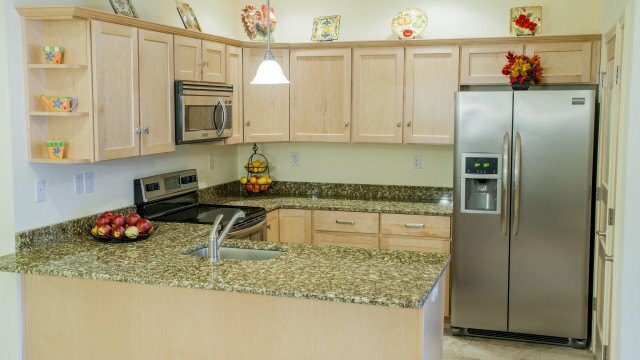 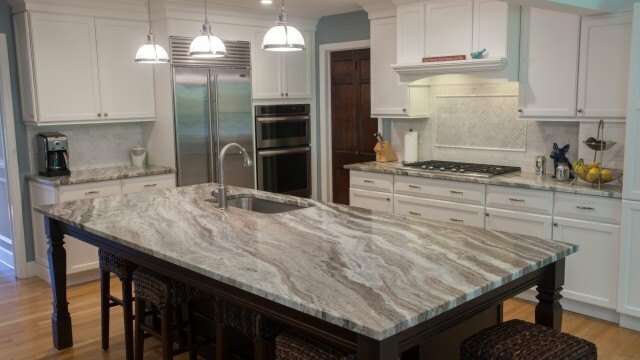 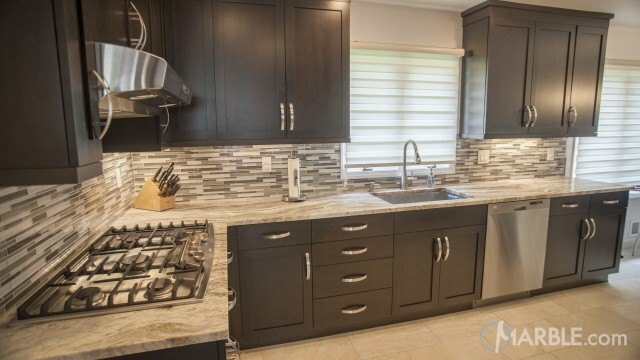 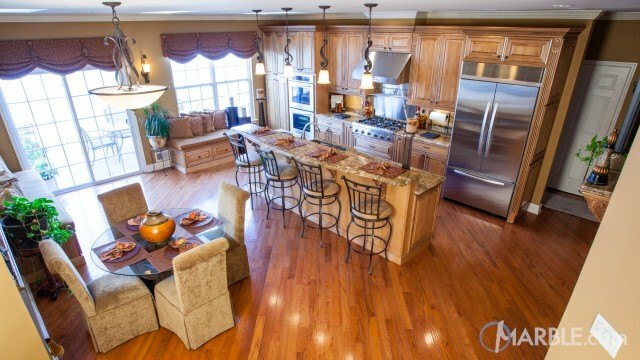 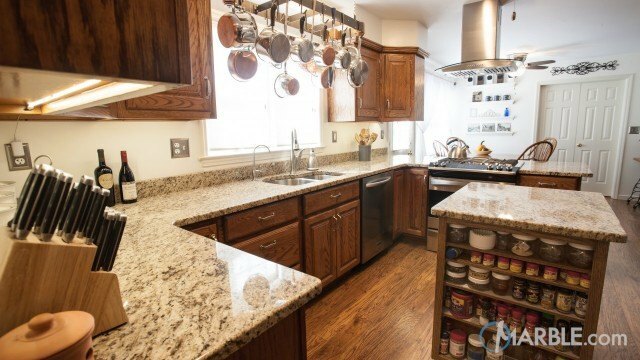 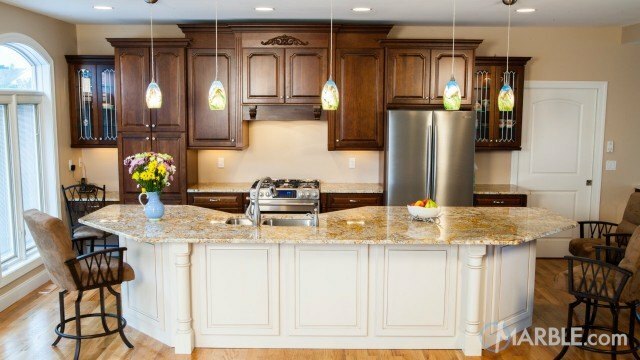 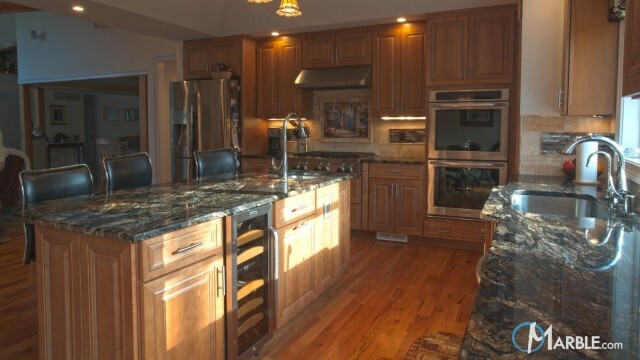 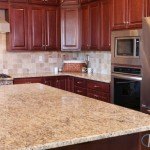 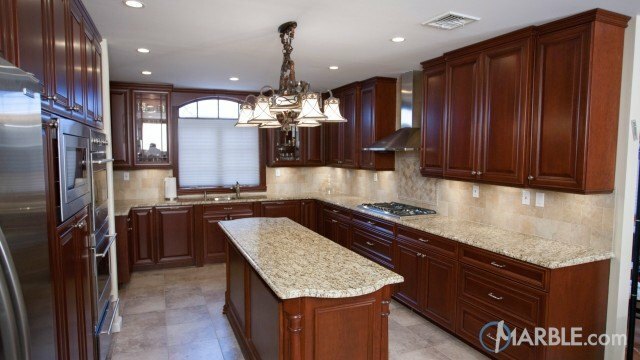 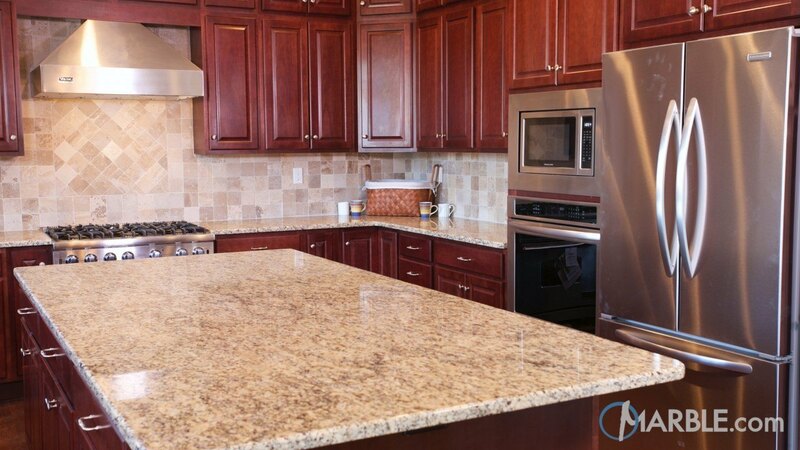 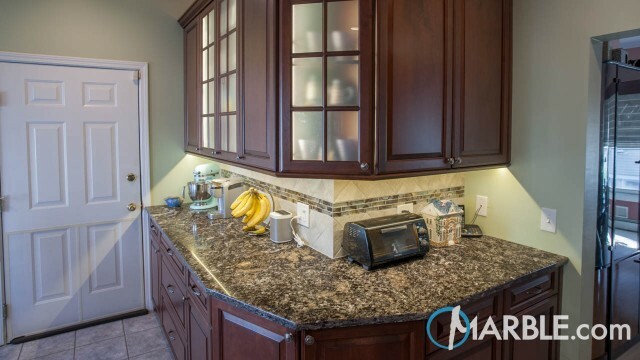 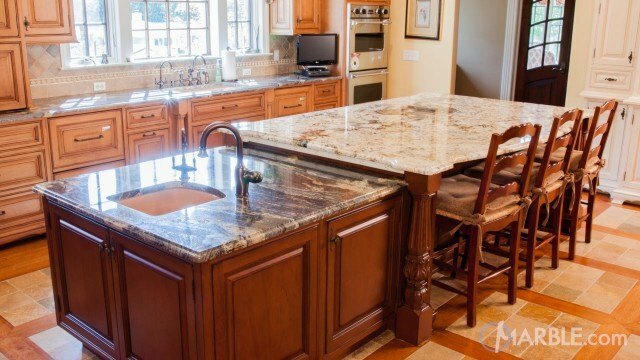 The dark wood cabinets and wood floor are contrasted nicely by the Giallo Ornamental granite counter tops. 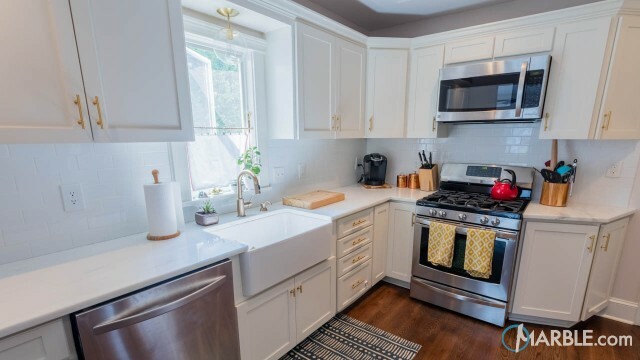 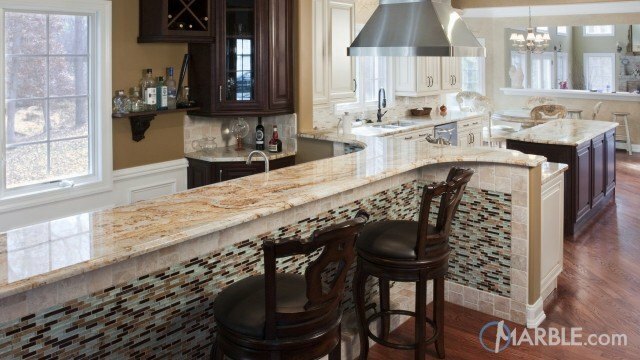 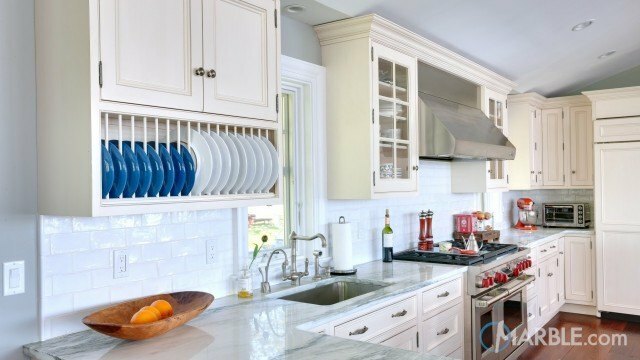 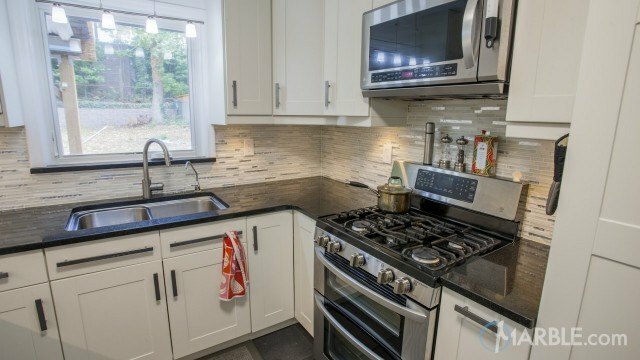 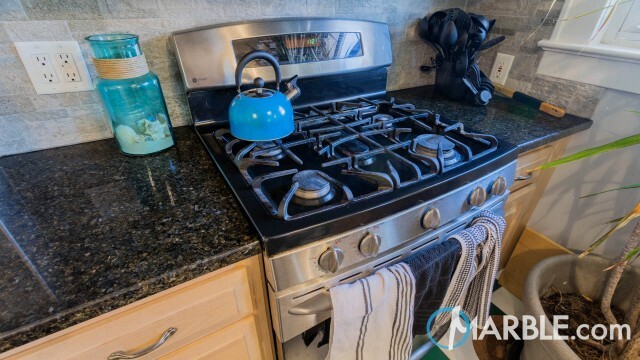 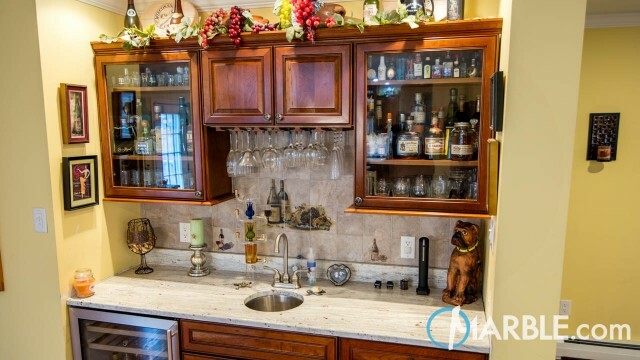 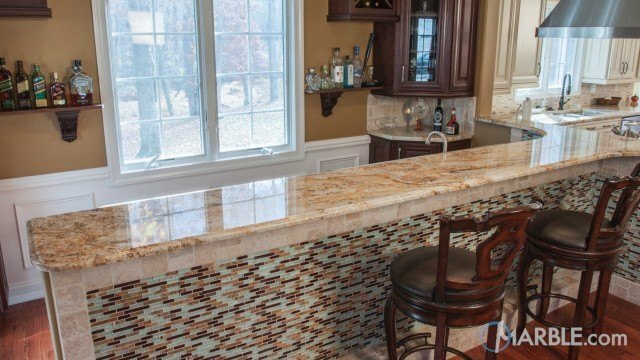 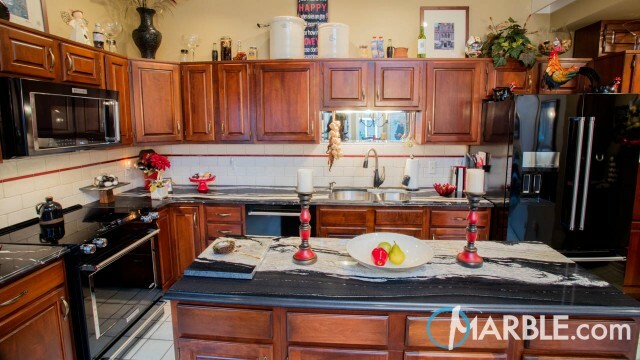 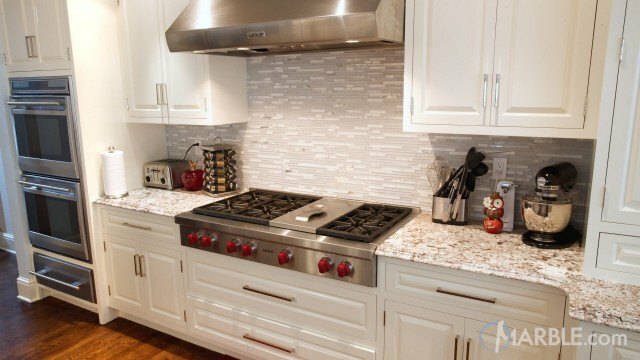 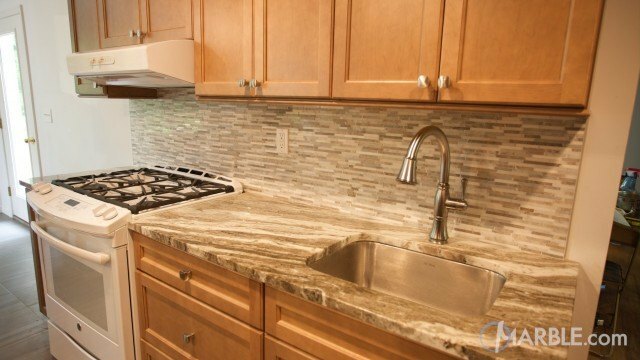 The tile wall behind the cabinets goes well with the patterns and colors in the counter tops and unify this kitchen. 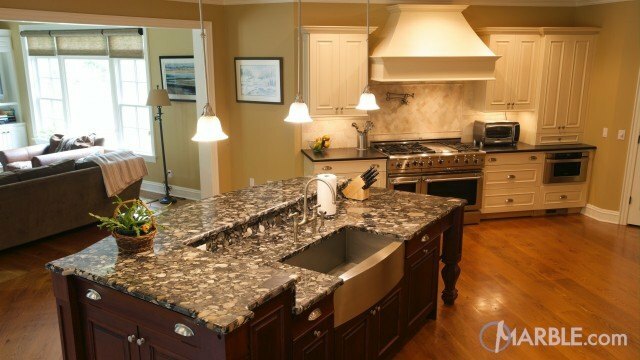 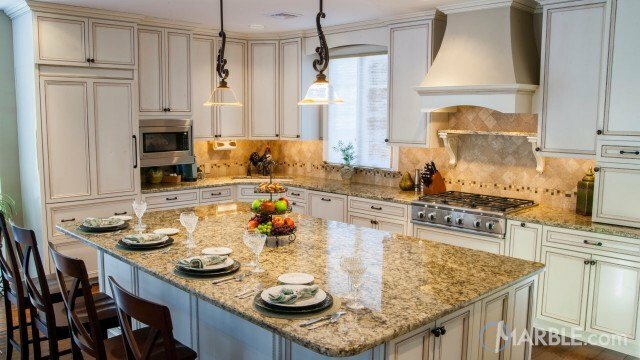 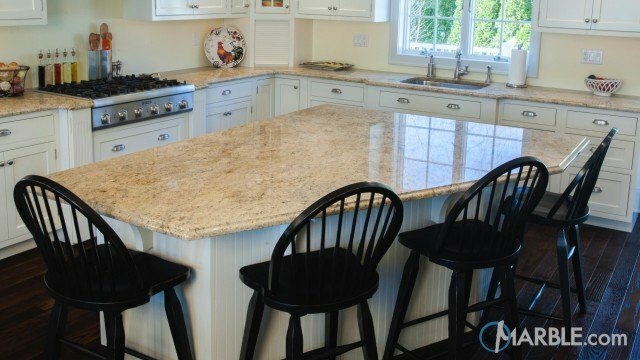 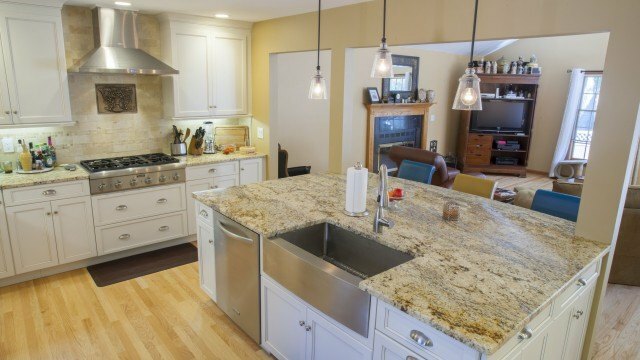 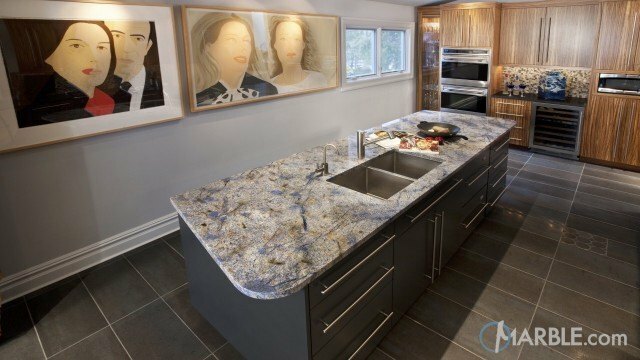 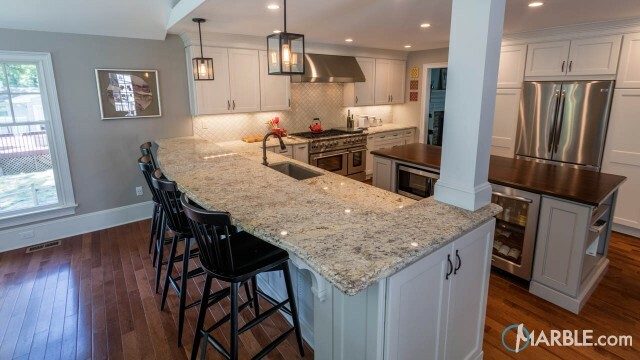 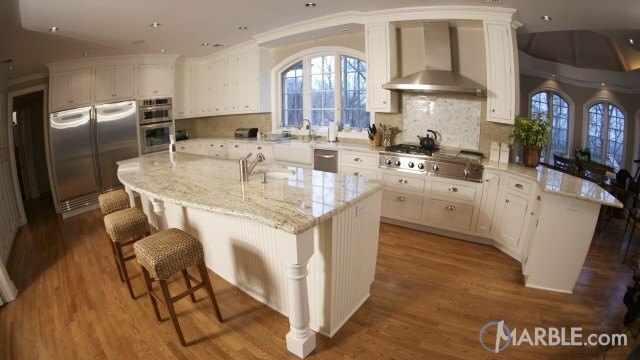 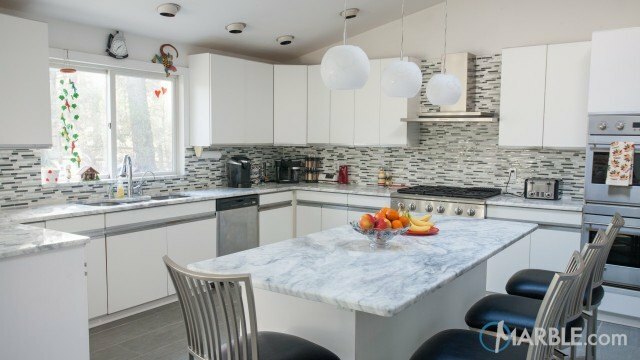 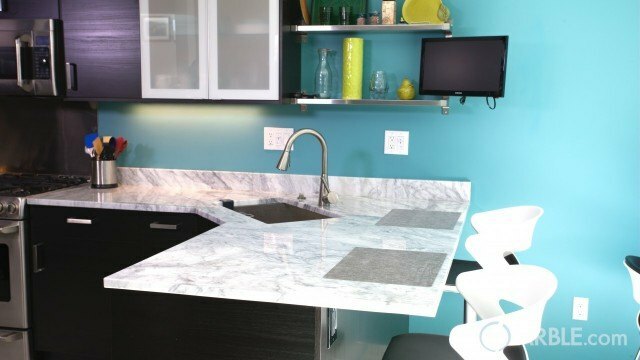 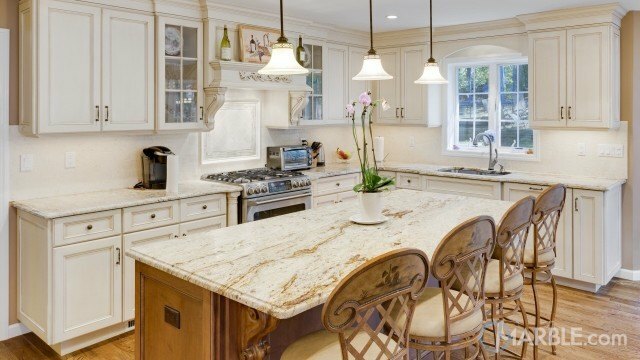 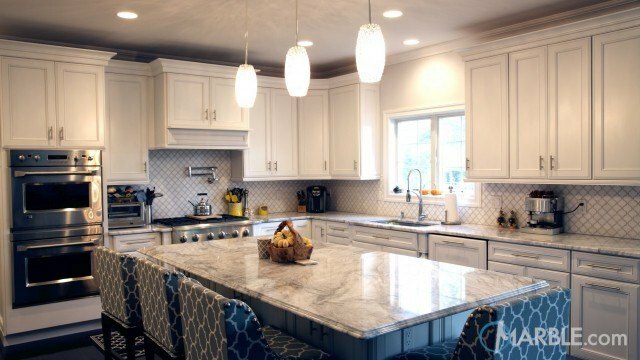 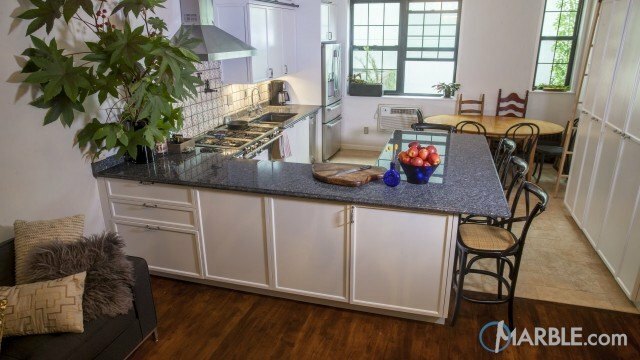 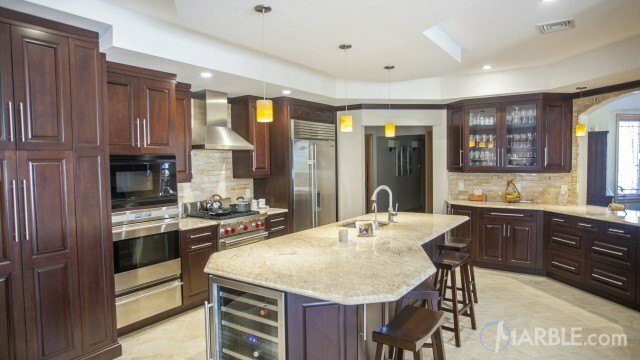 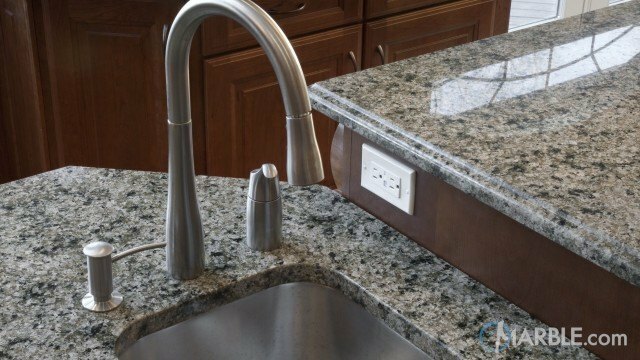 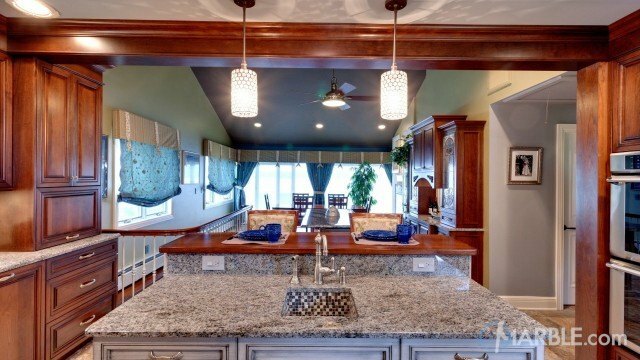 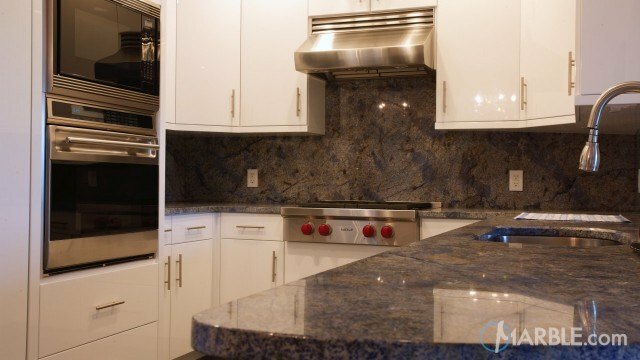 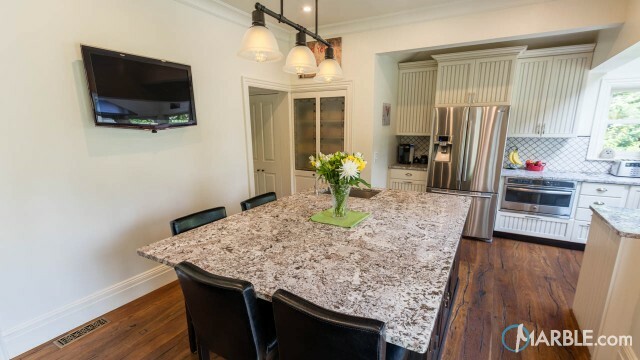 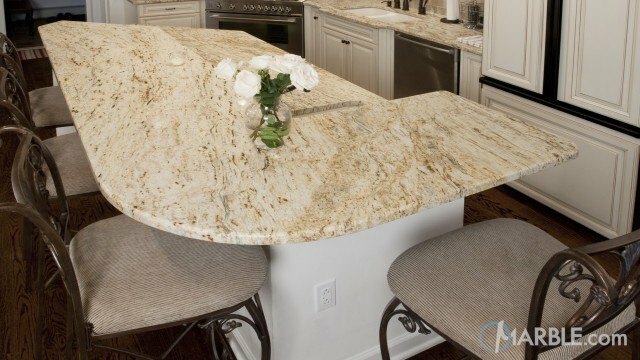 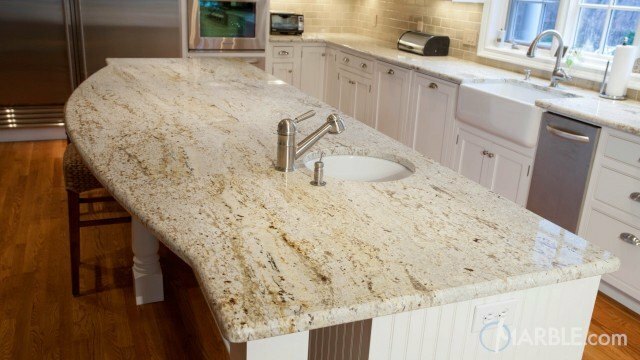 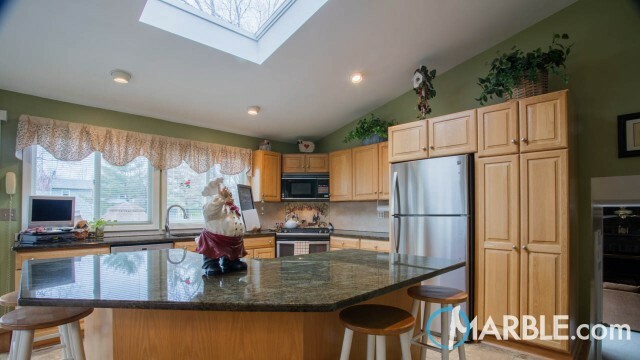 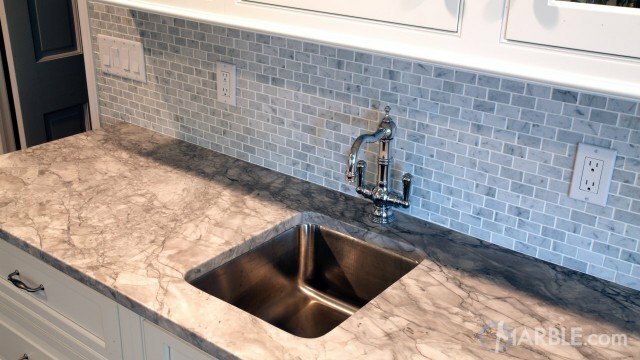 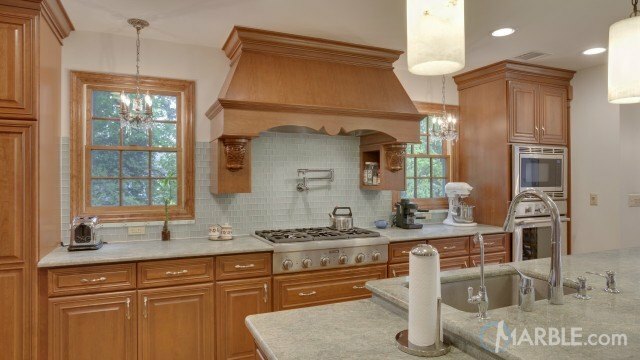 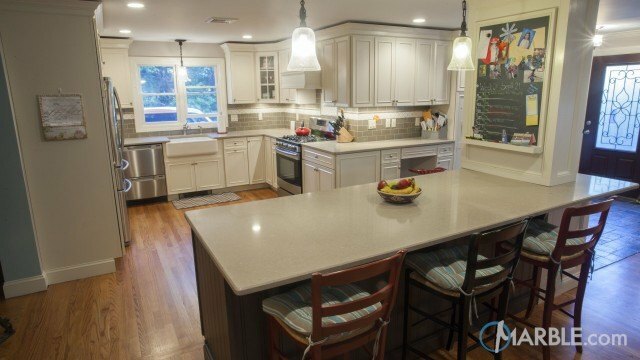 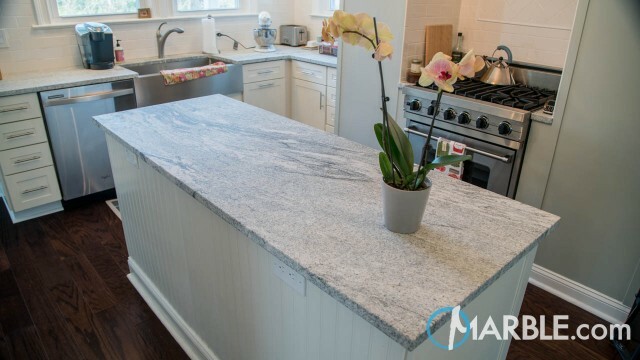 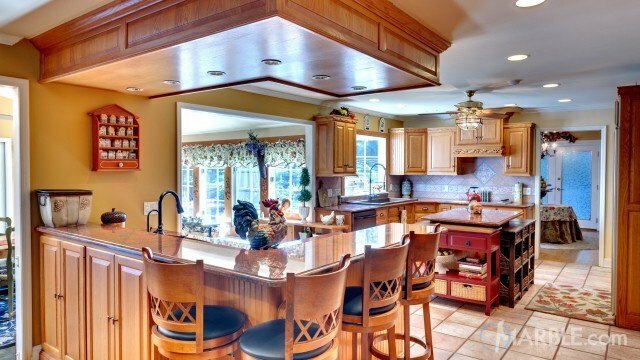 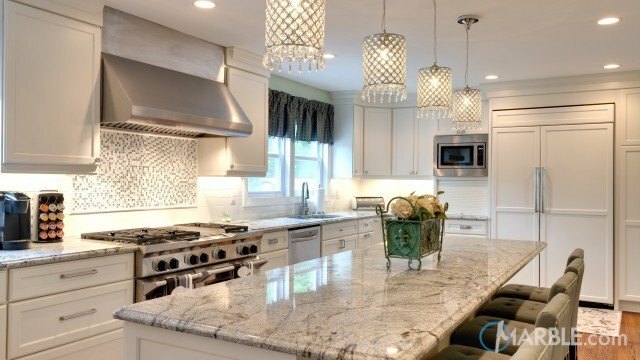 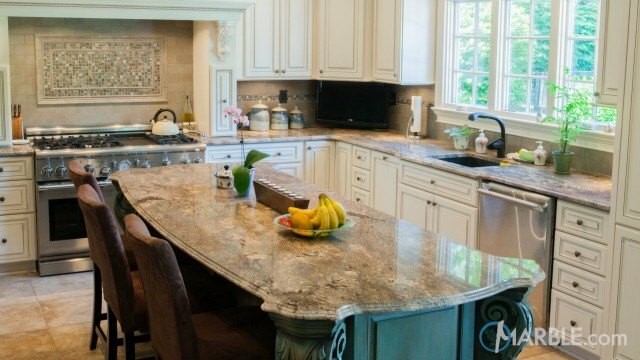 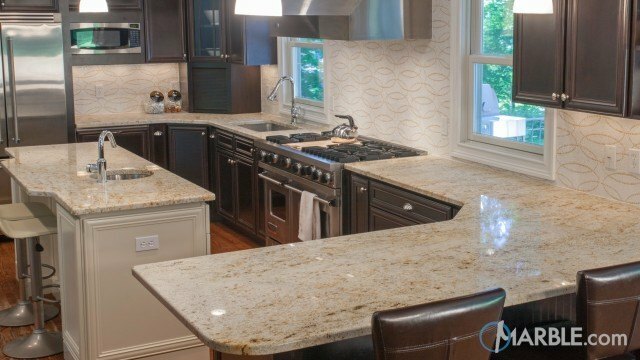 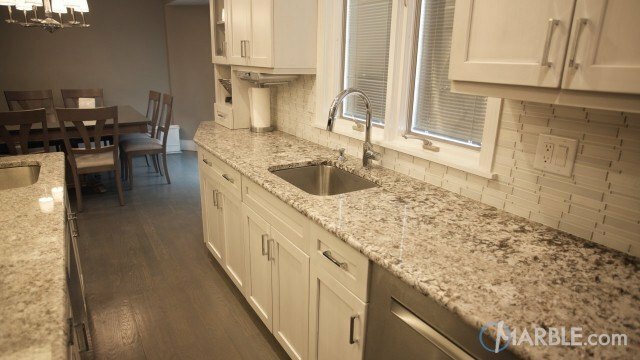 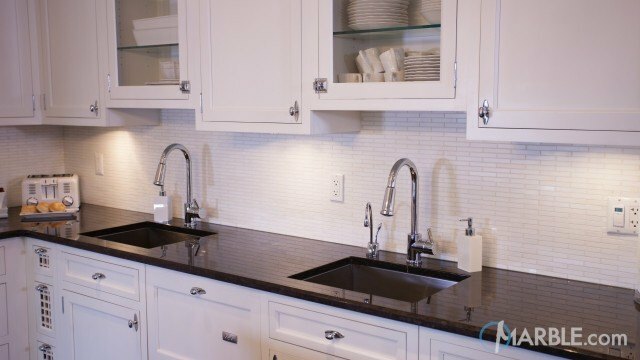 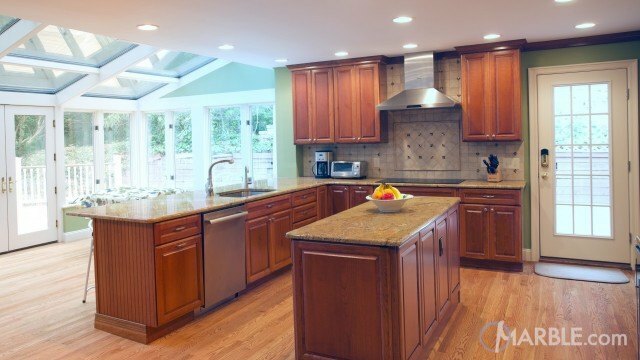 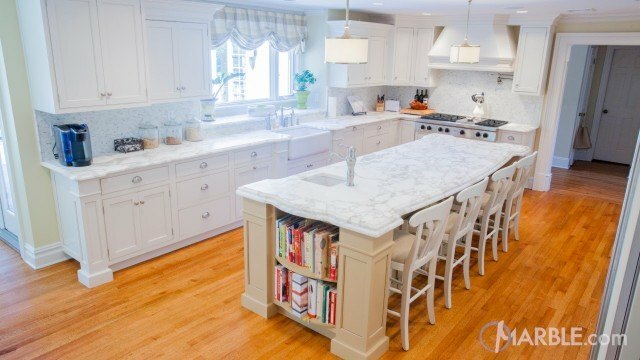 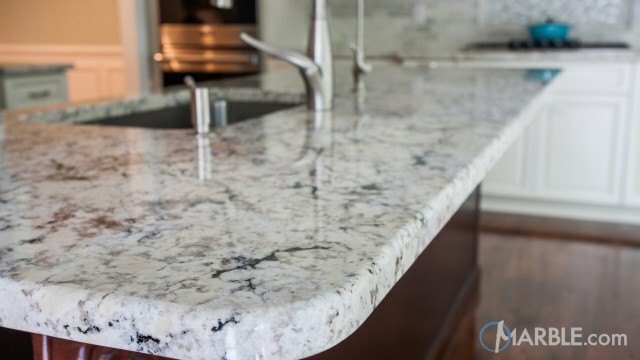 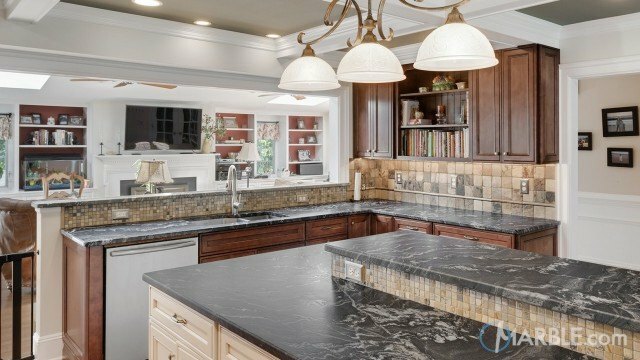 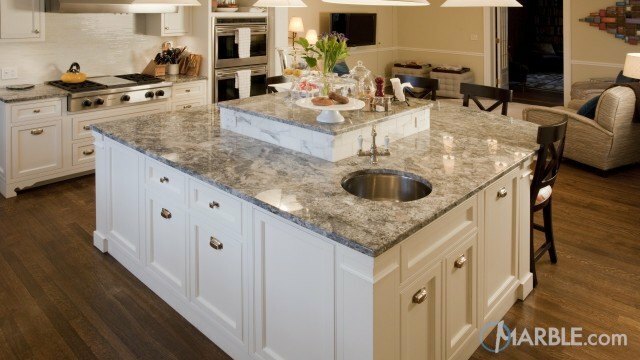 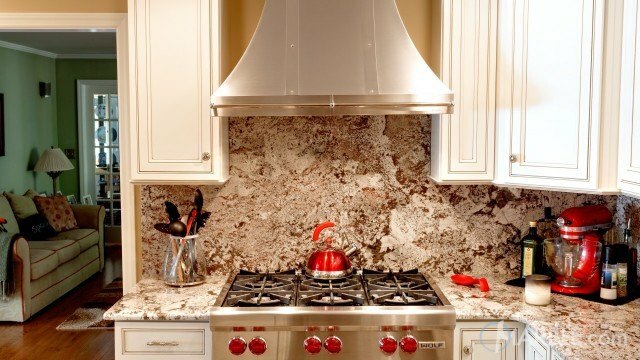 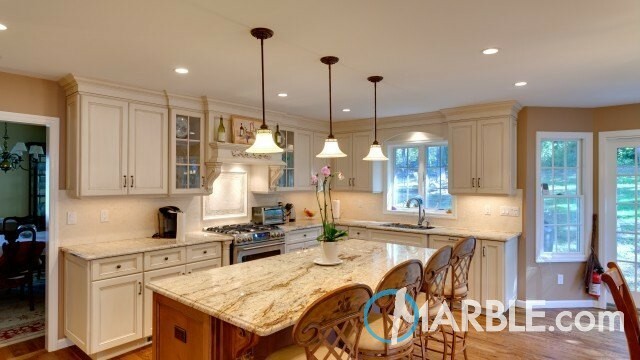 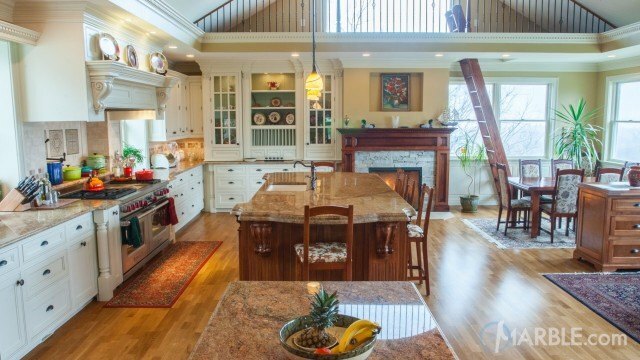 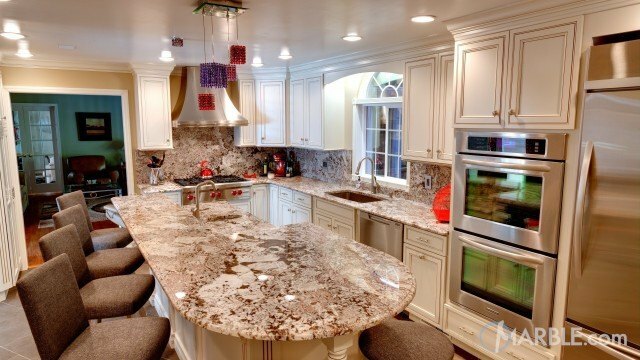 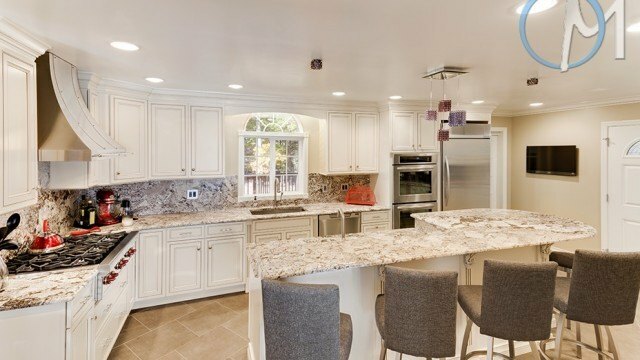 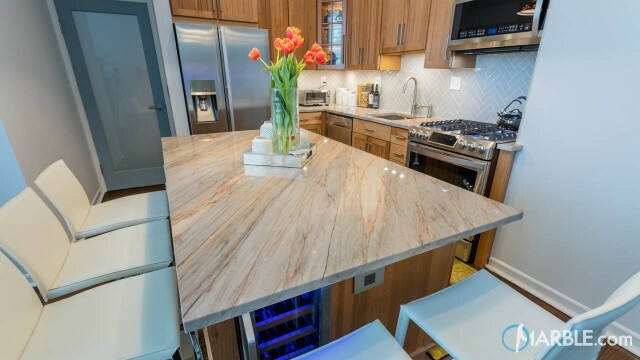 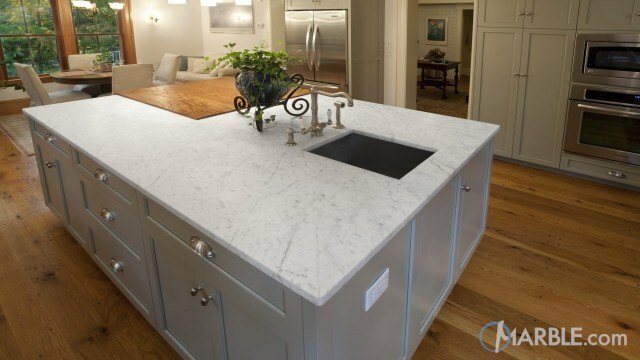 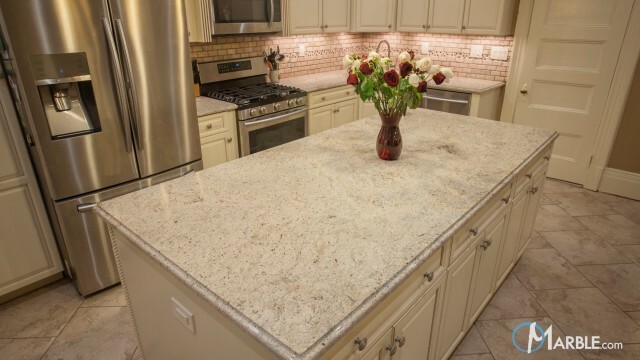 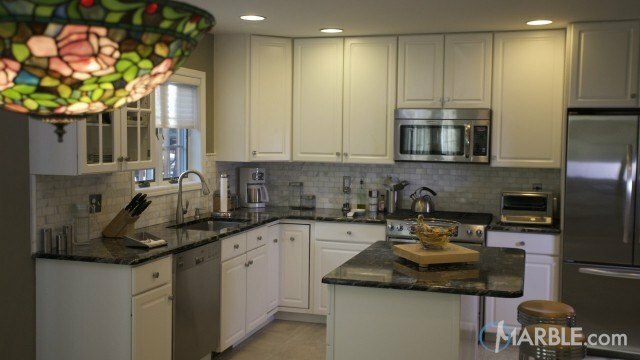 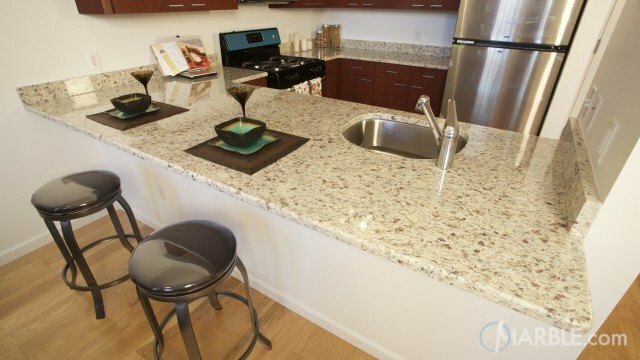 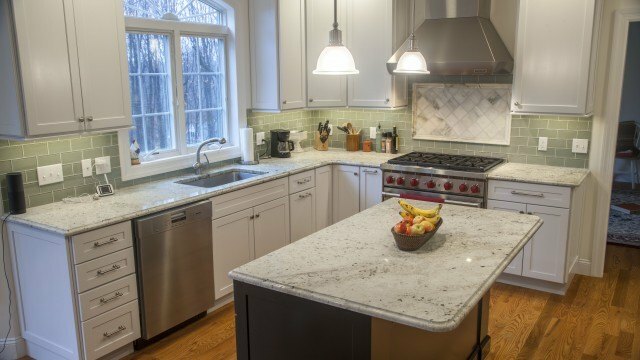 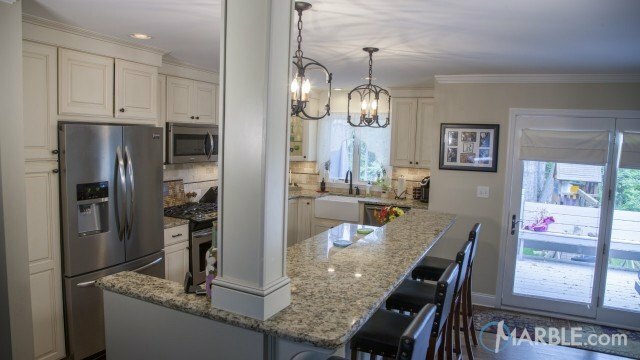 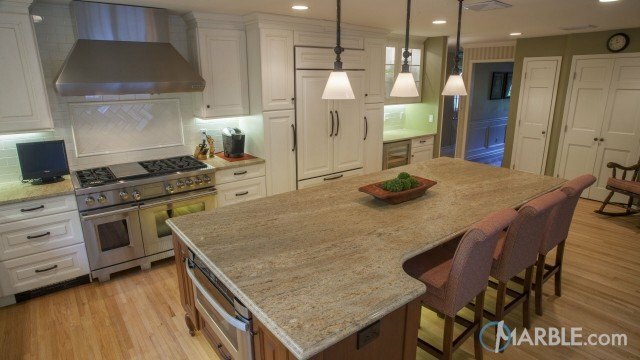 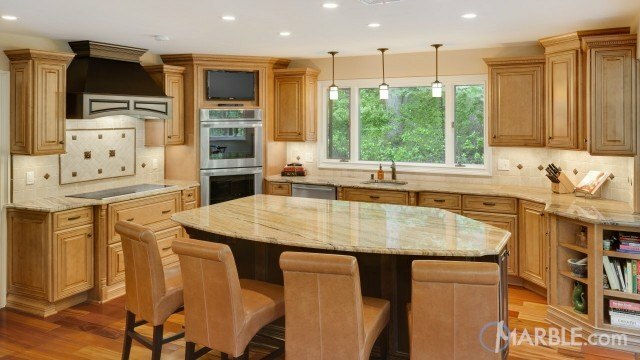 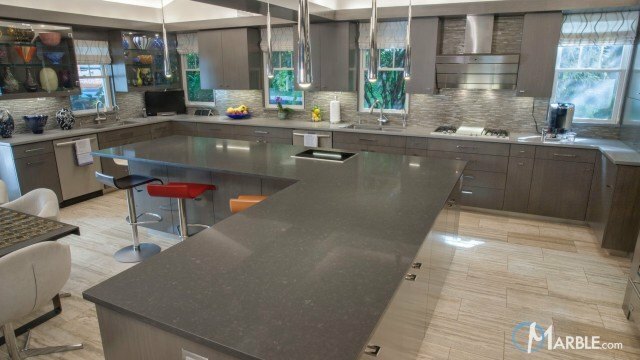 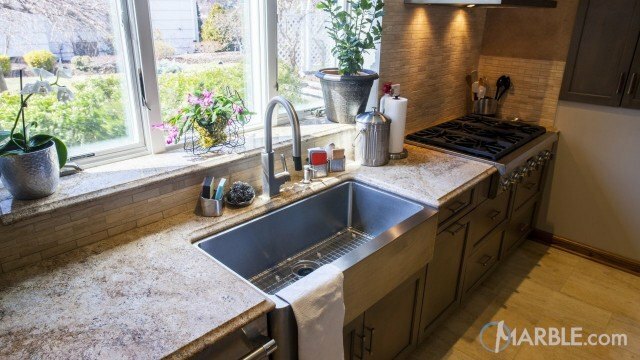 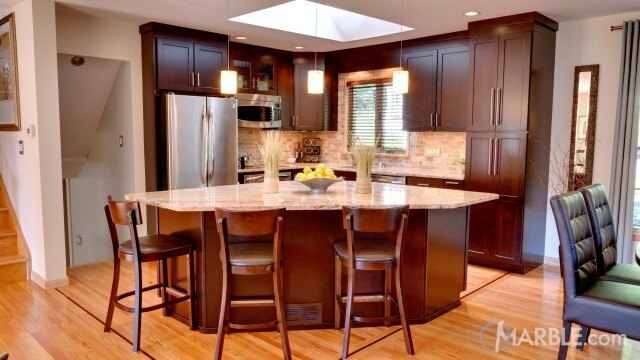 The granite island centers the room and shines with the light from the large window above the sink. 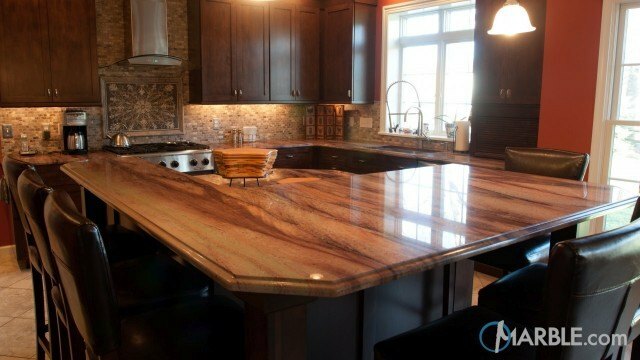 The 1/4 Round Edges complete the look.